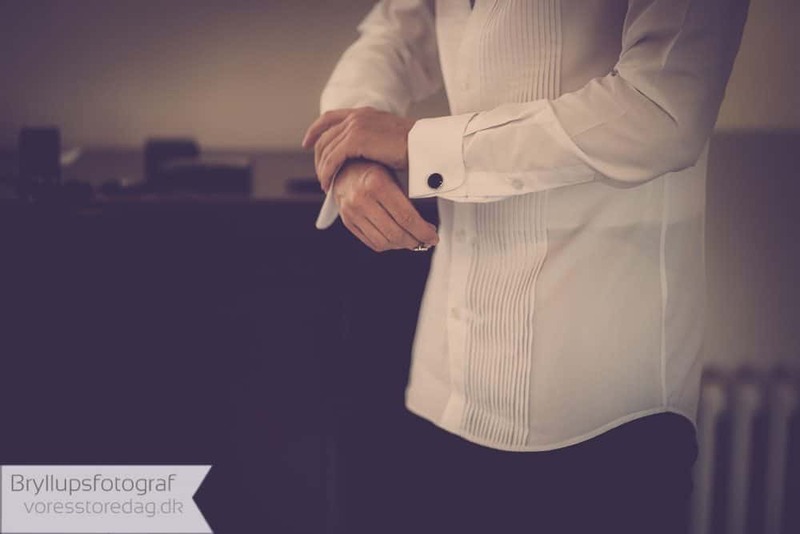 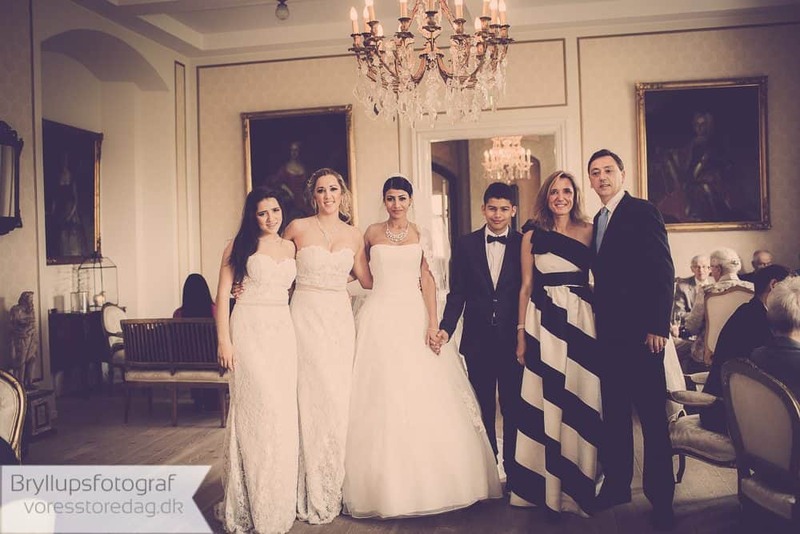 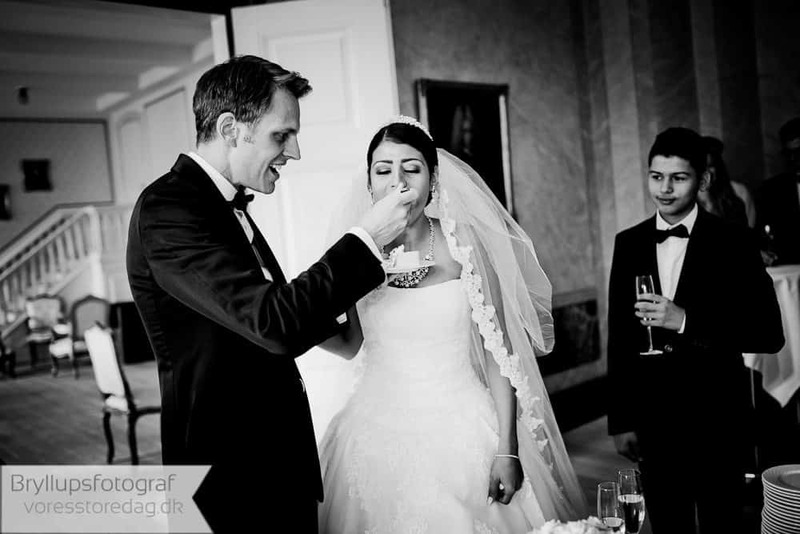 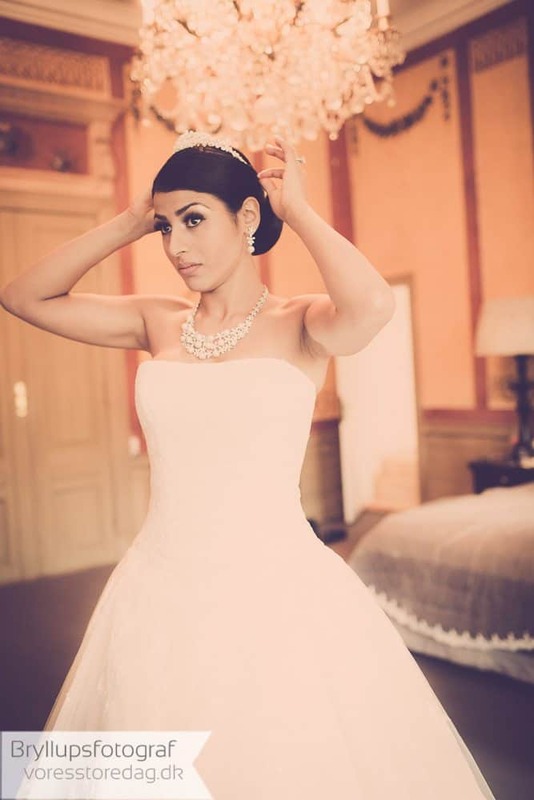 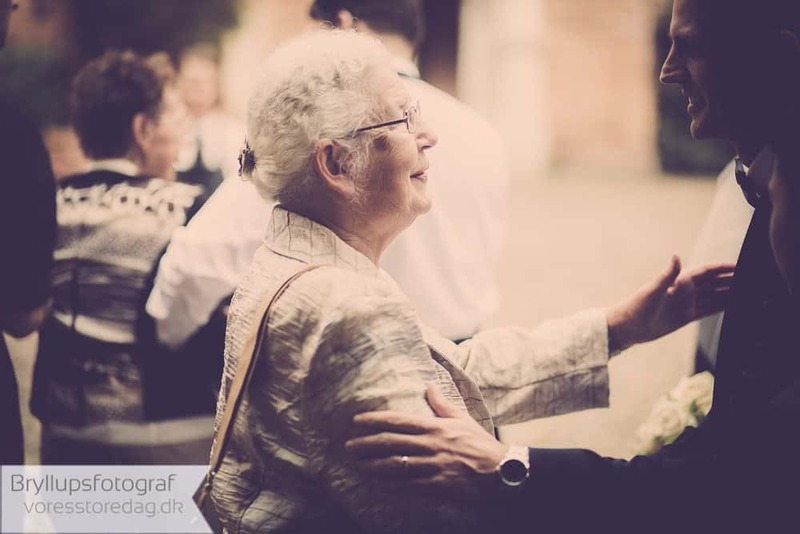 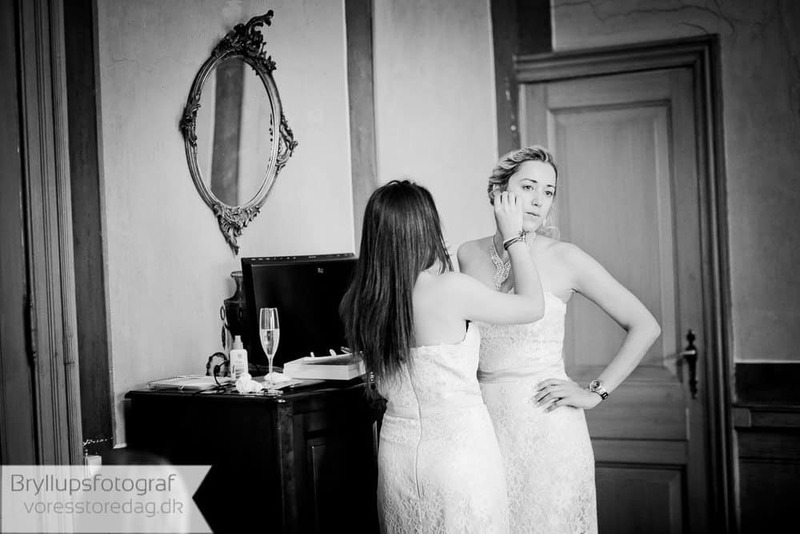 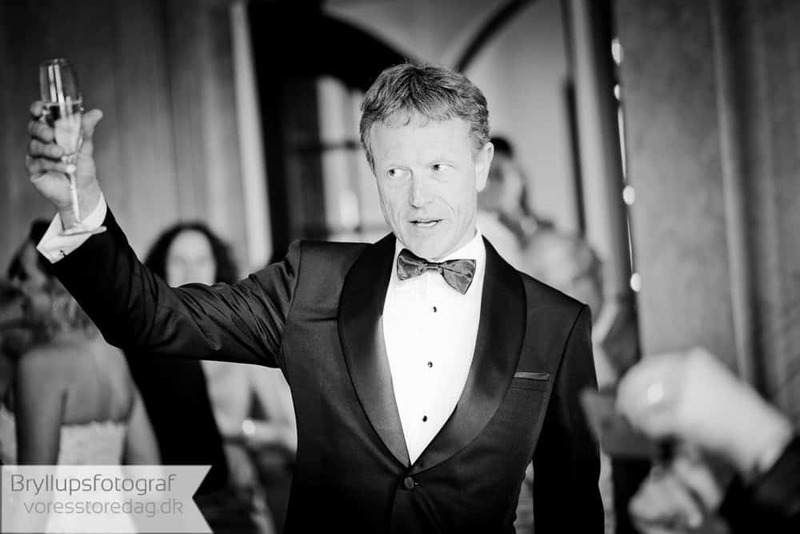 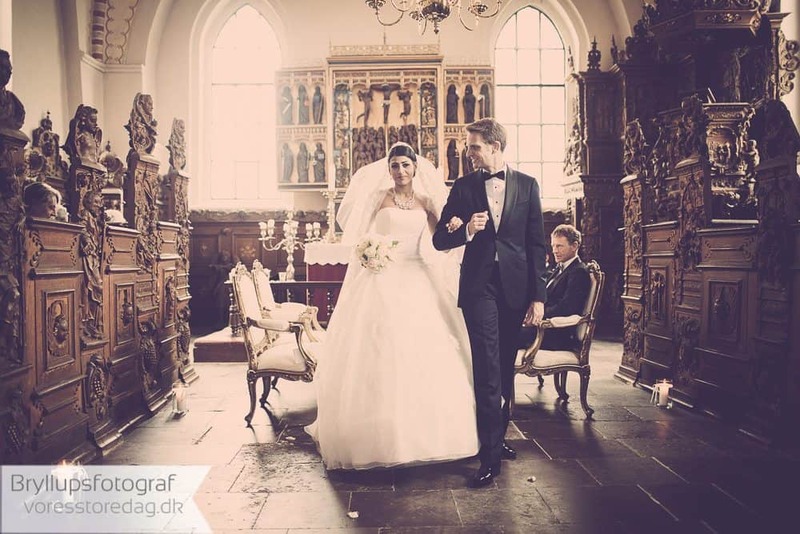 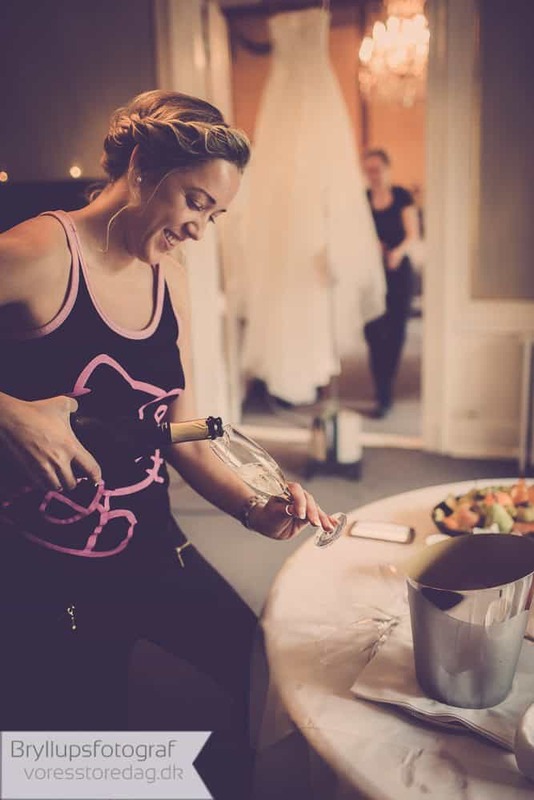 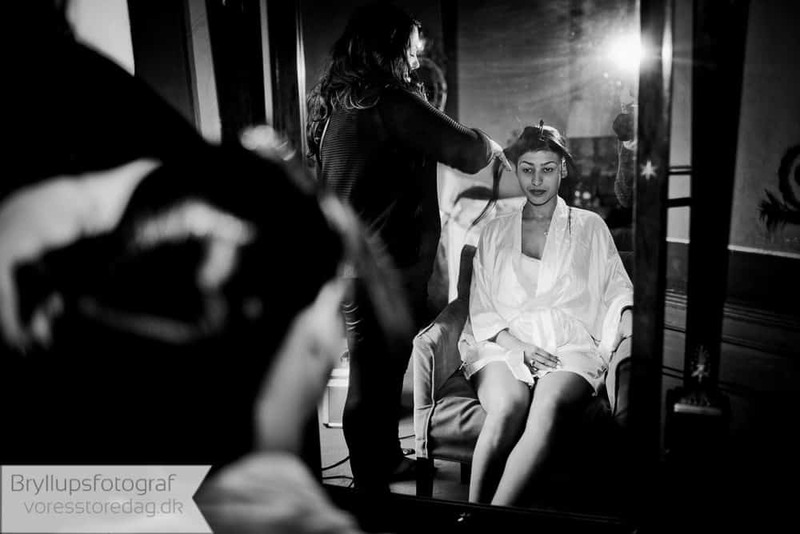 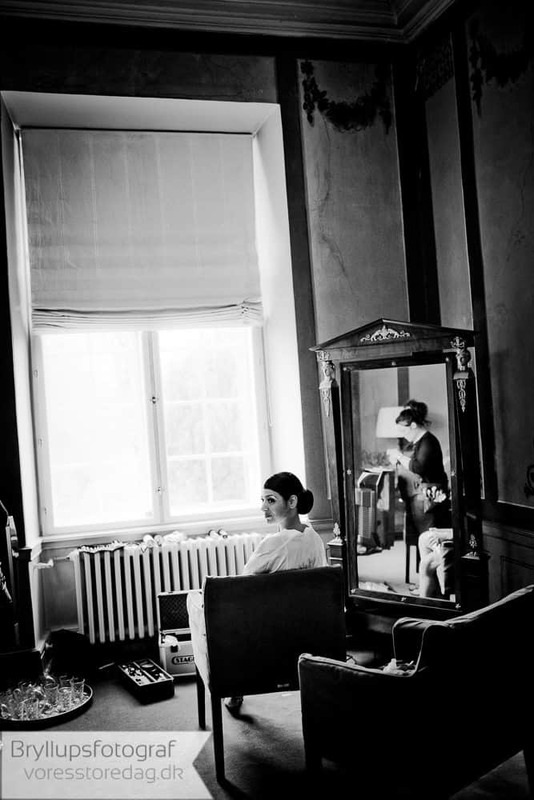 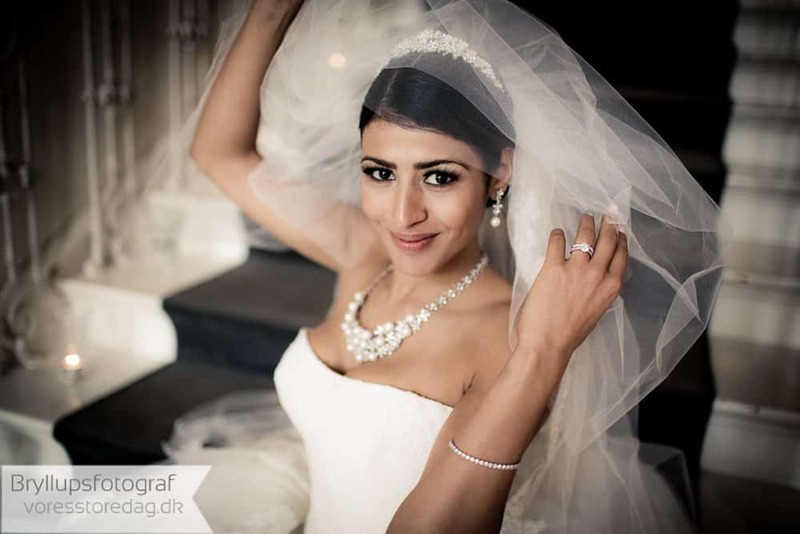 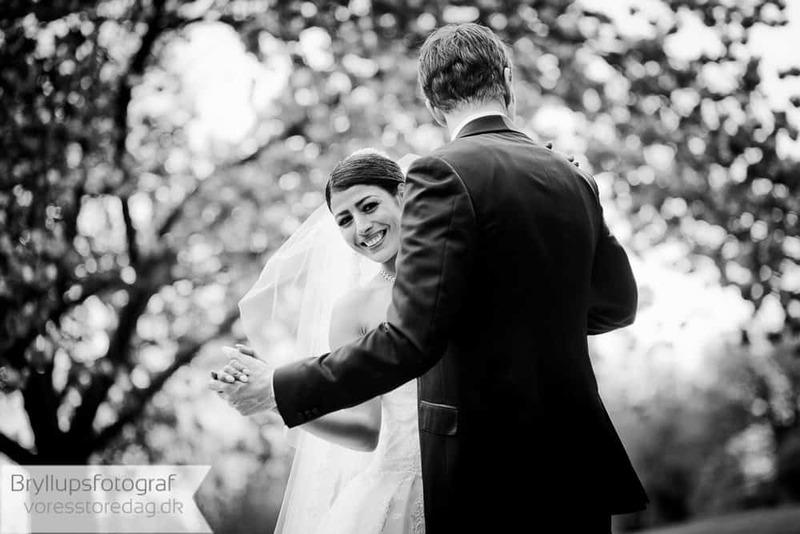 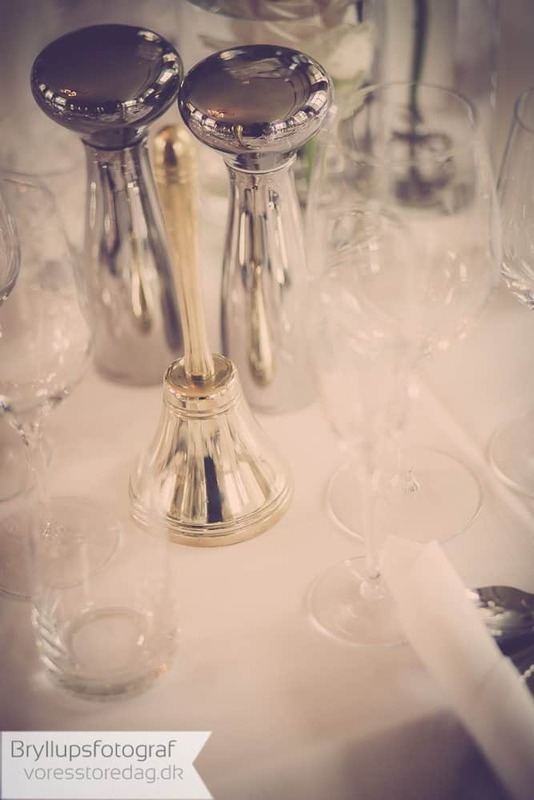 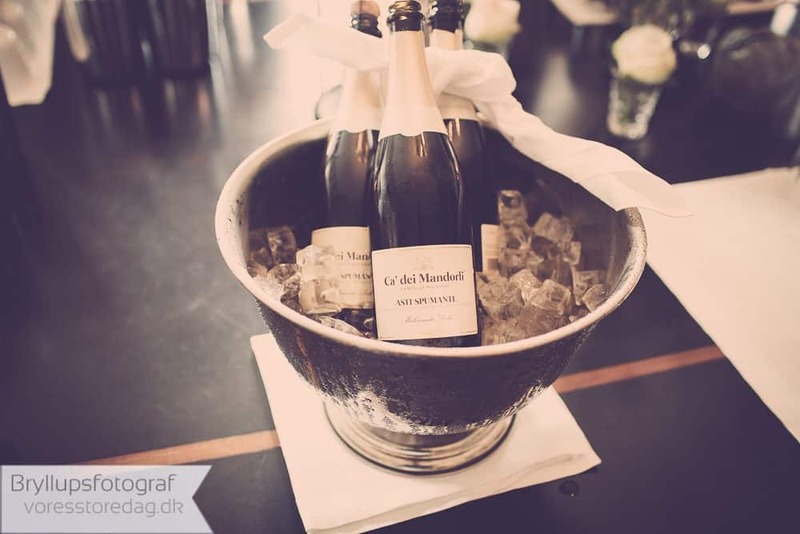 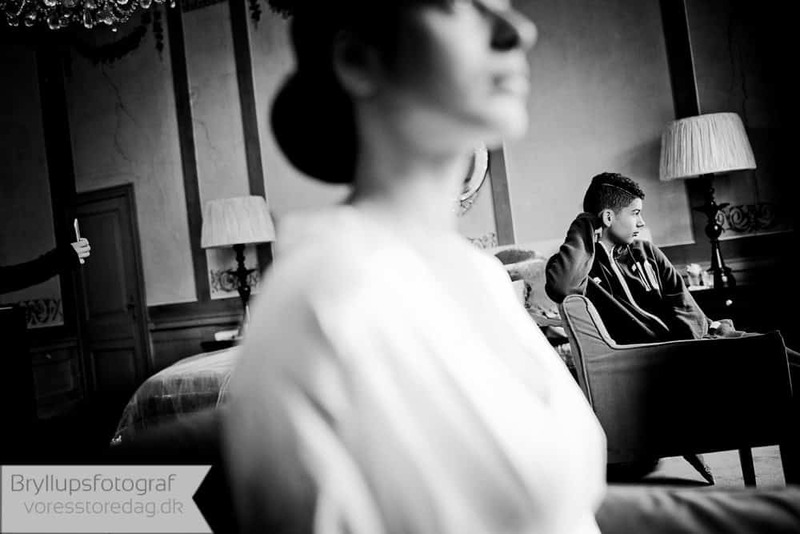 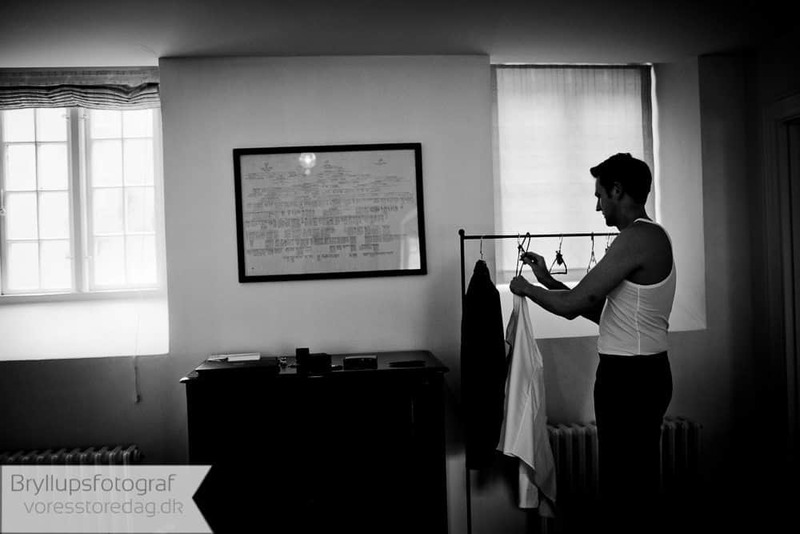 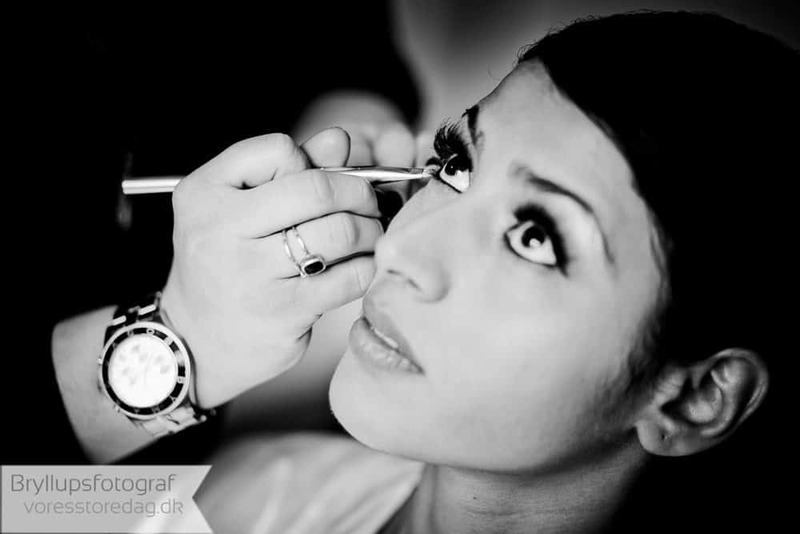 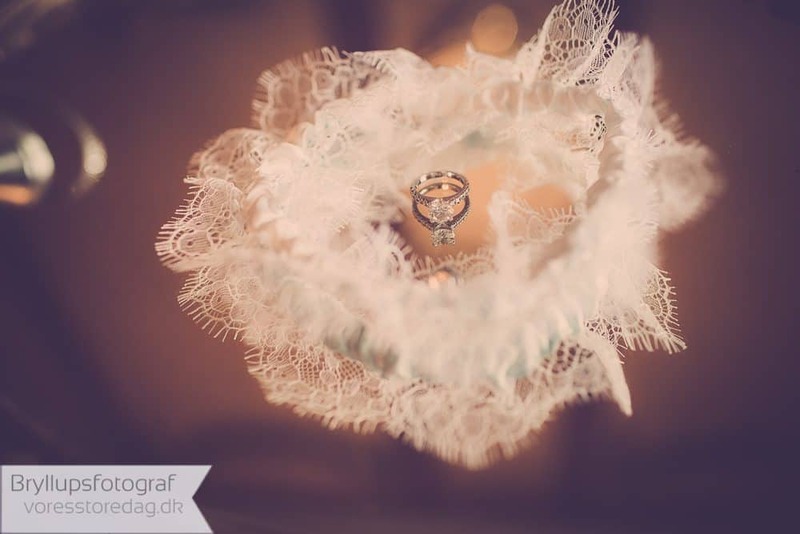 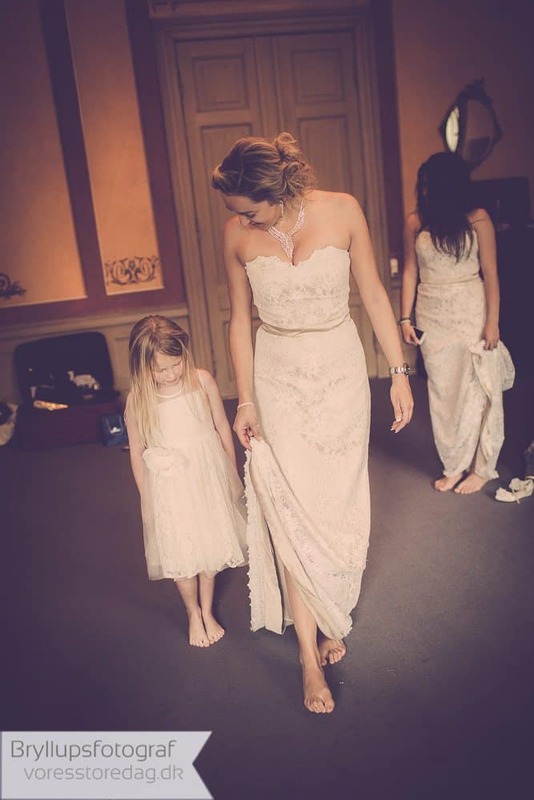 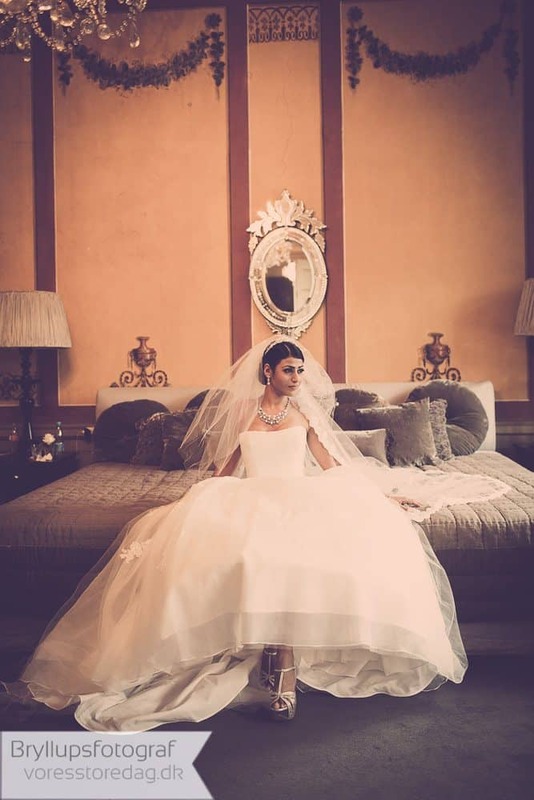 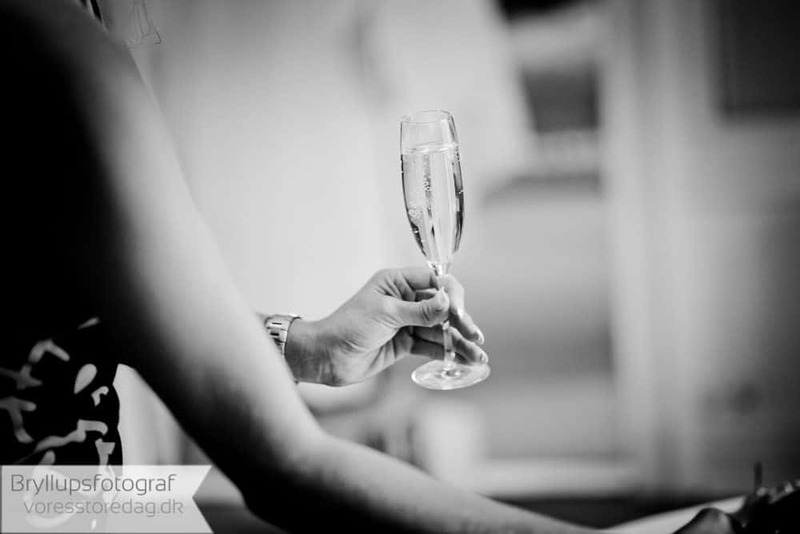 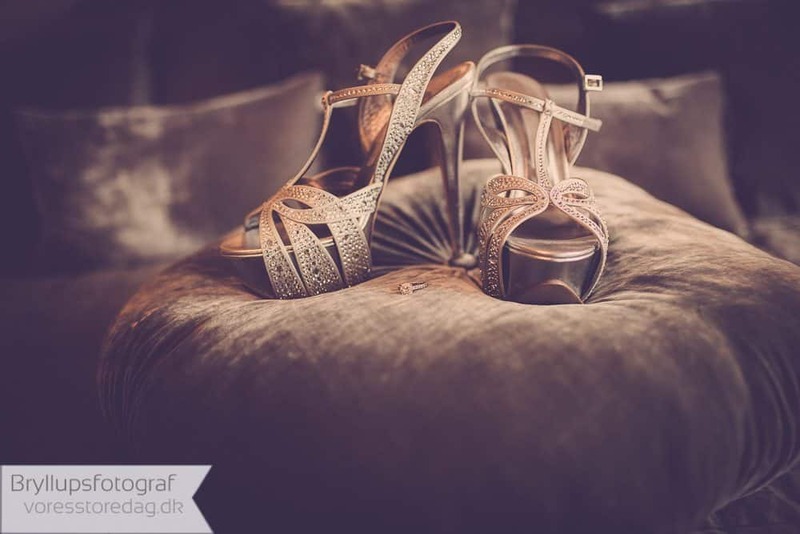 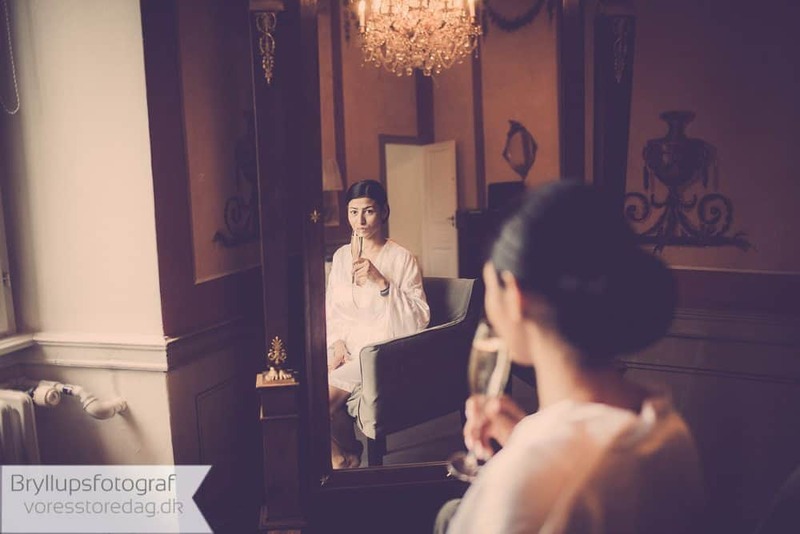 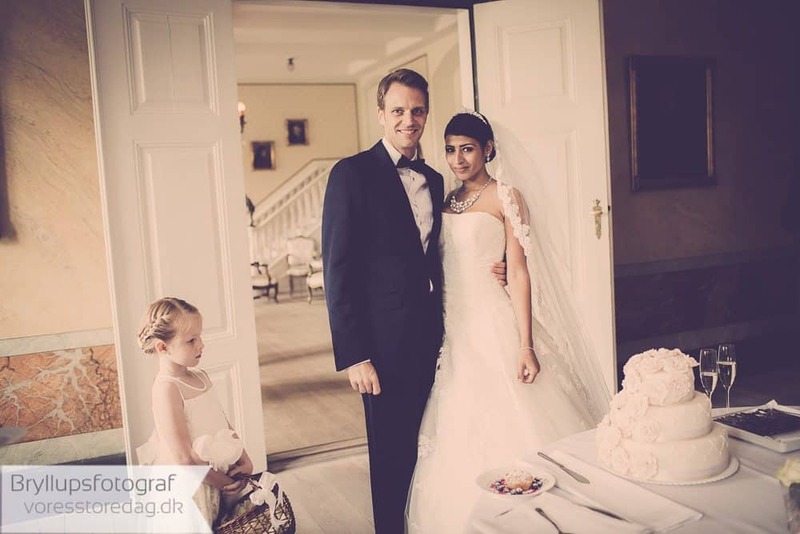 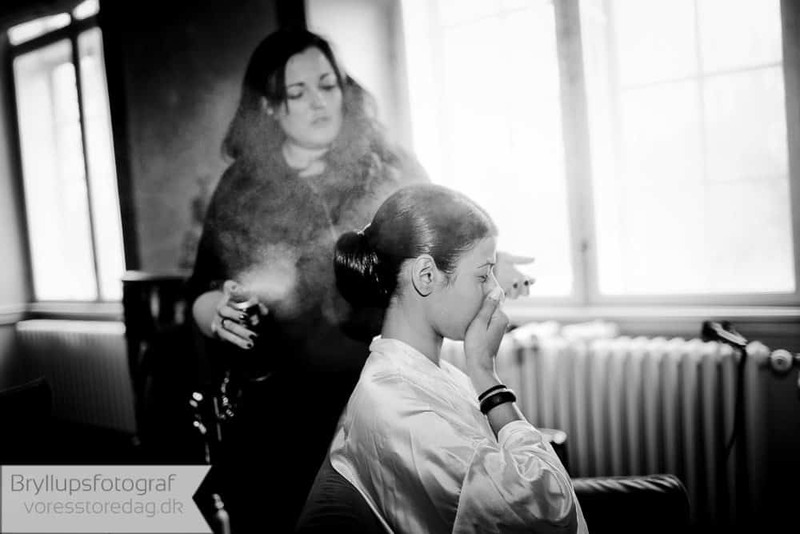 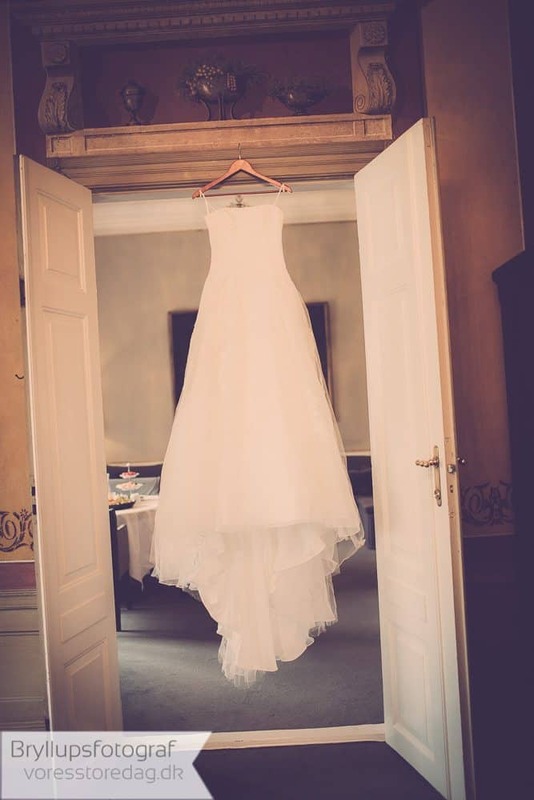 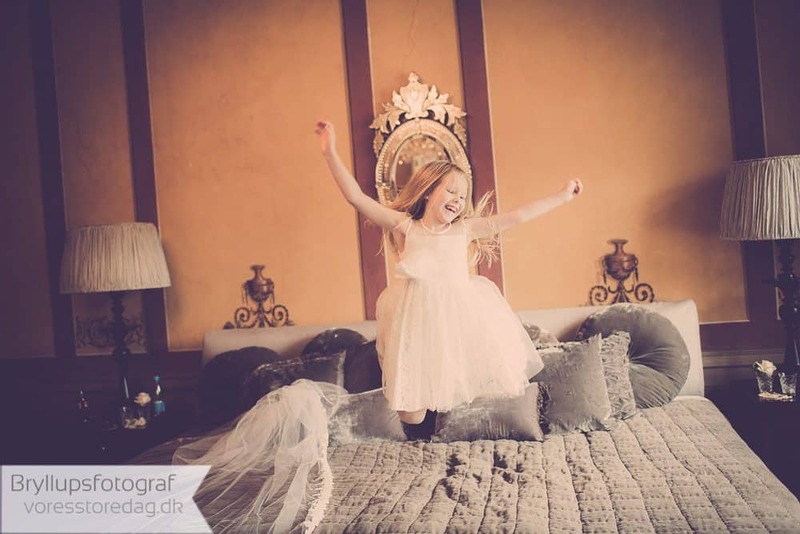 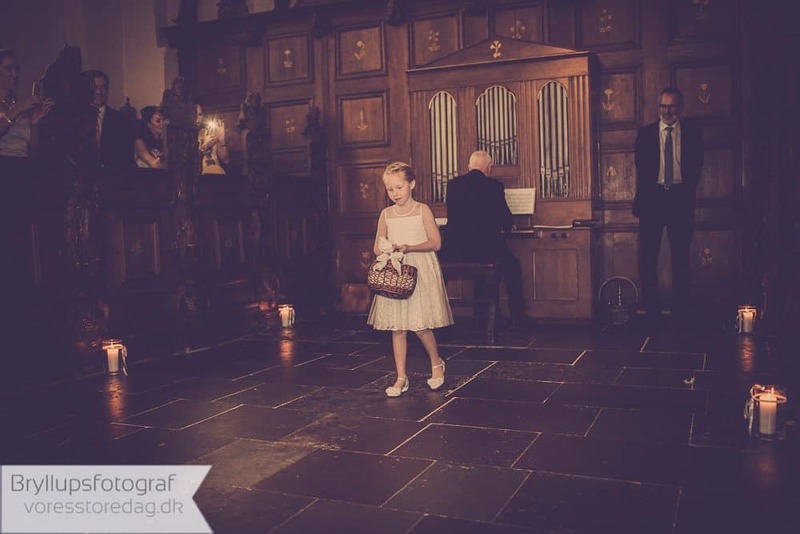 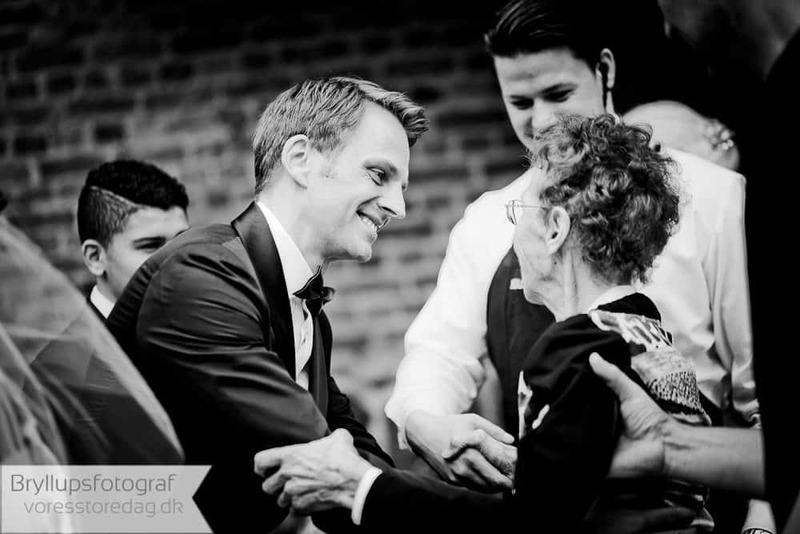 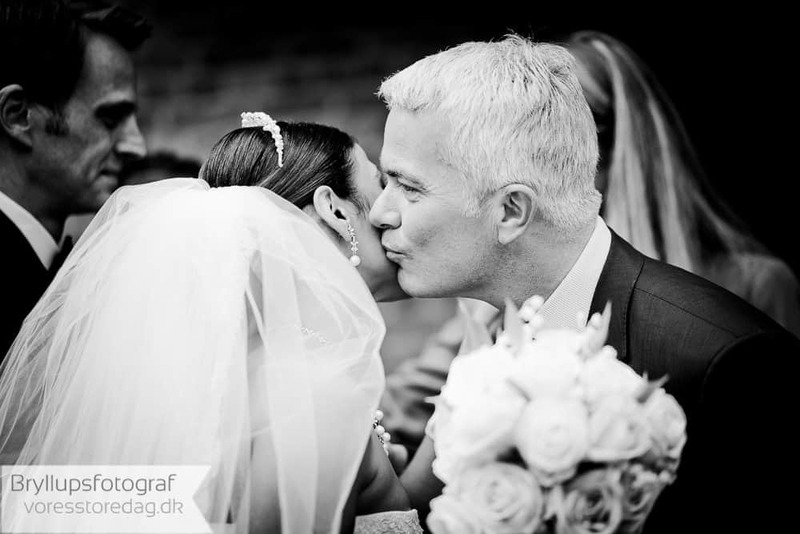 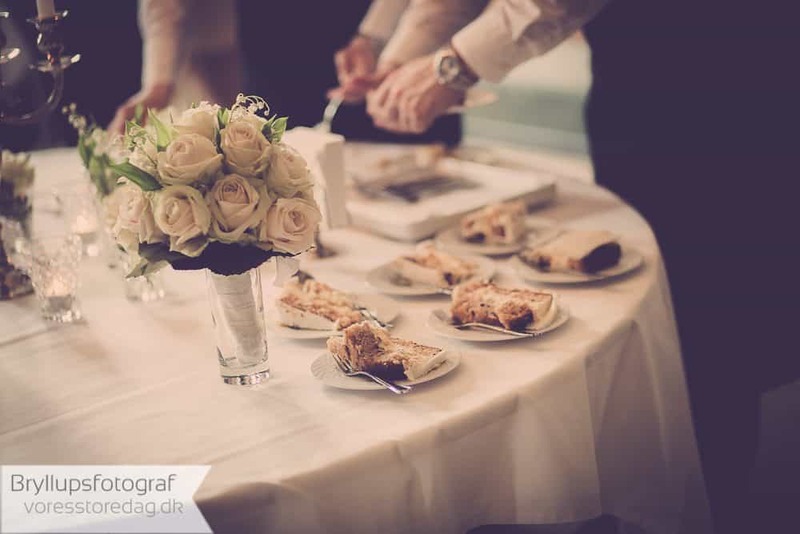 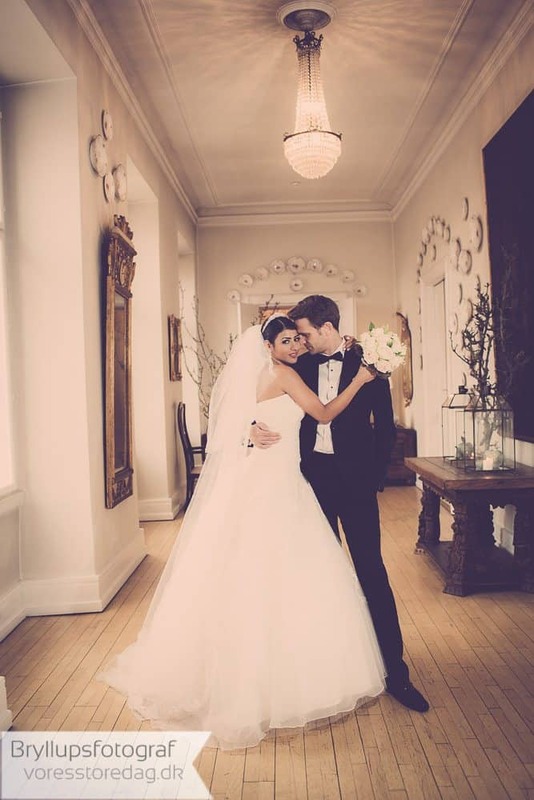 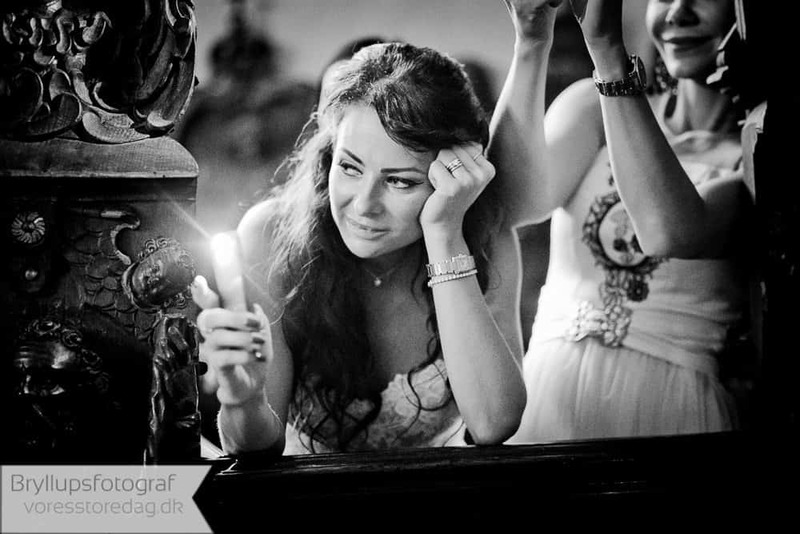 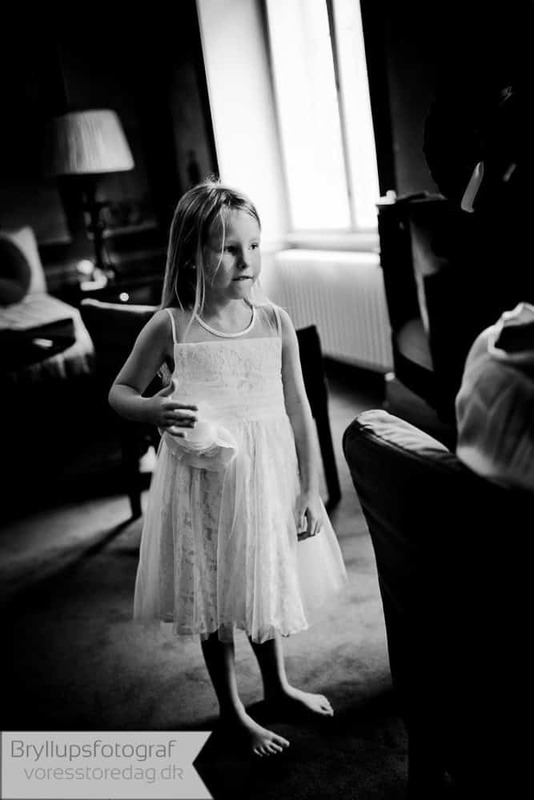 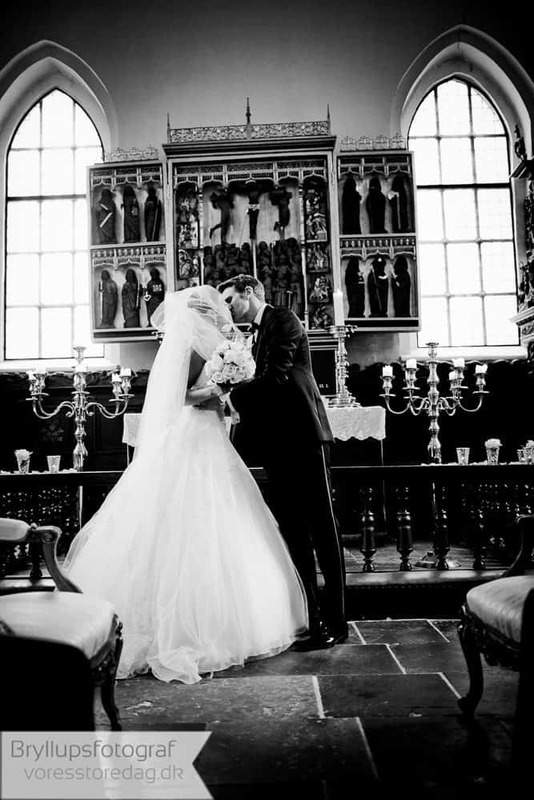 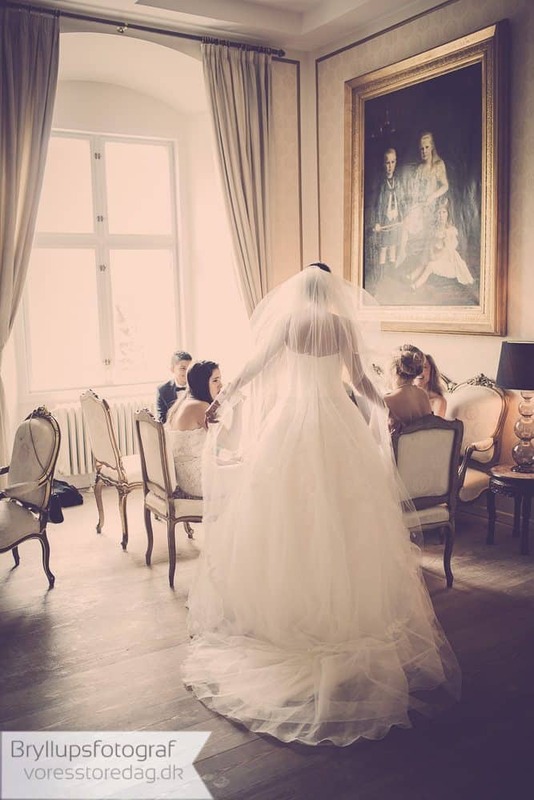 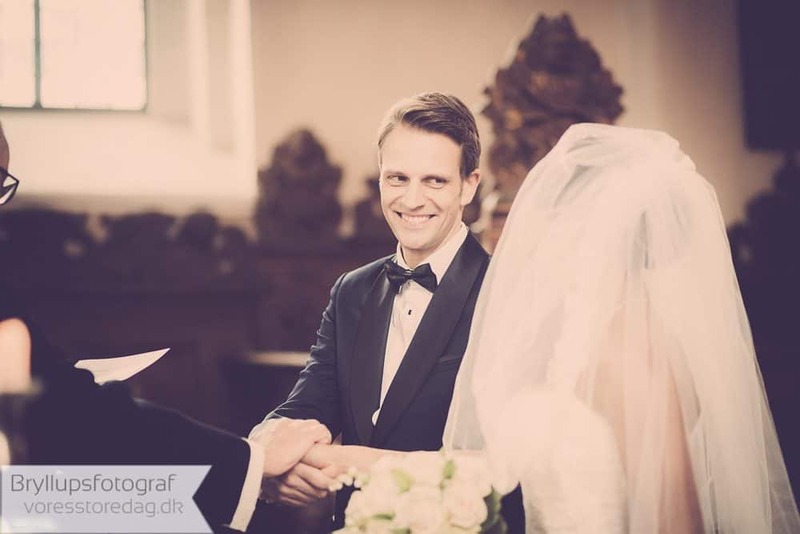 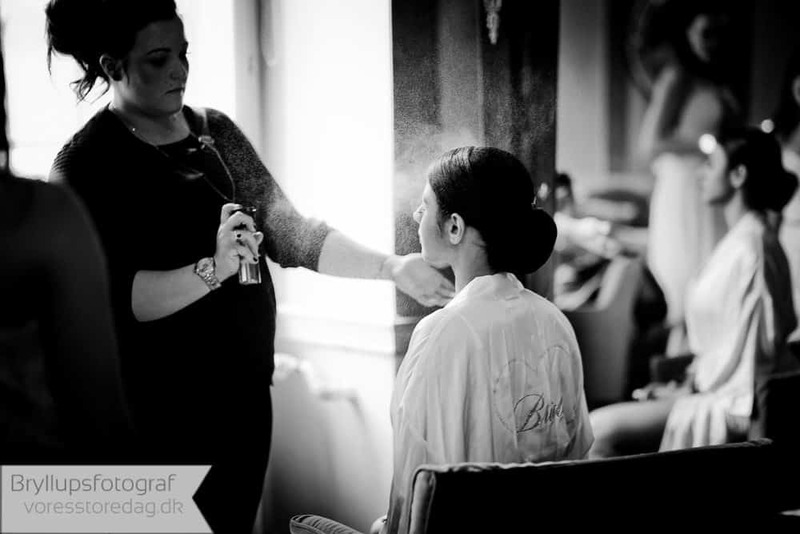 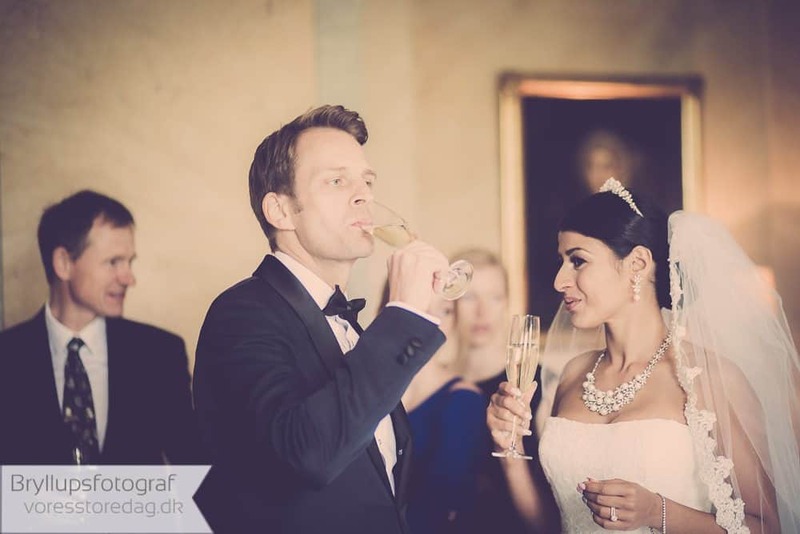 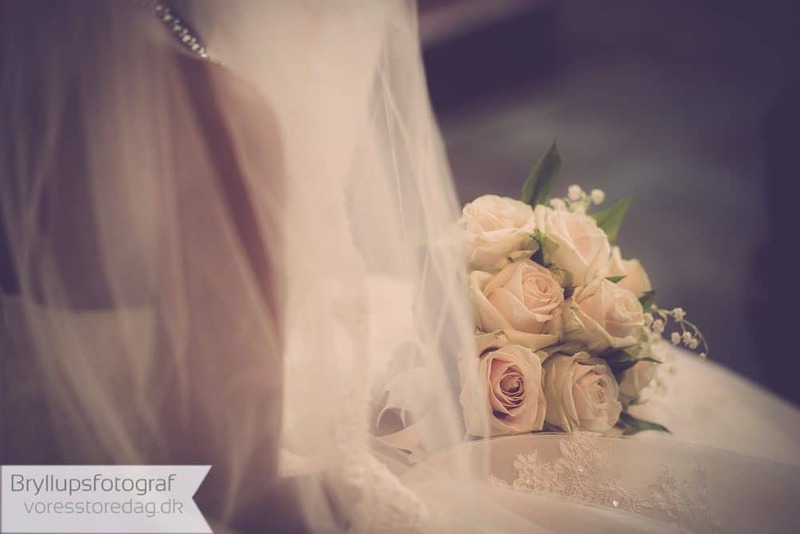 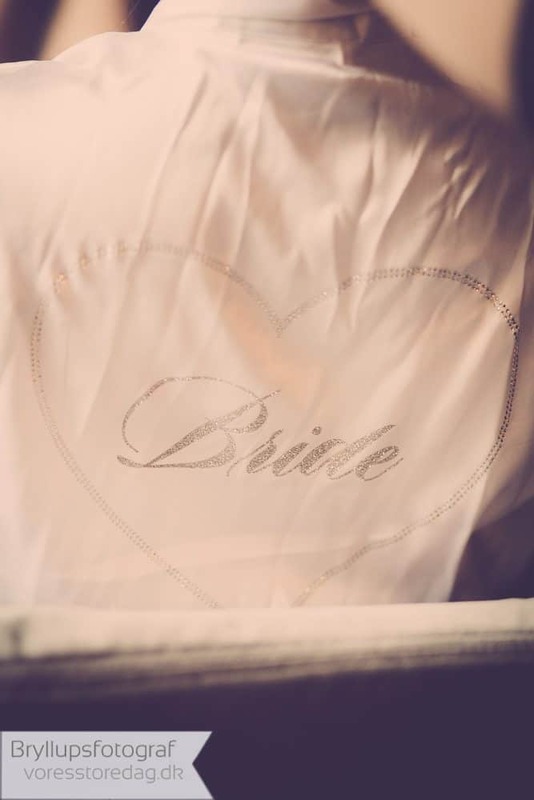 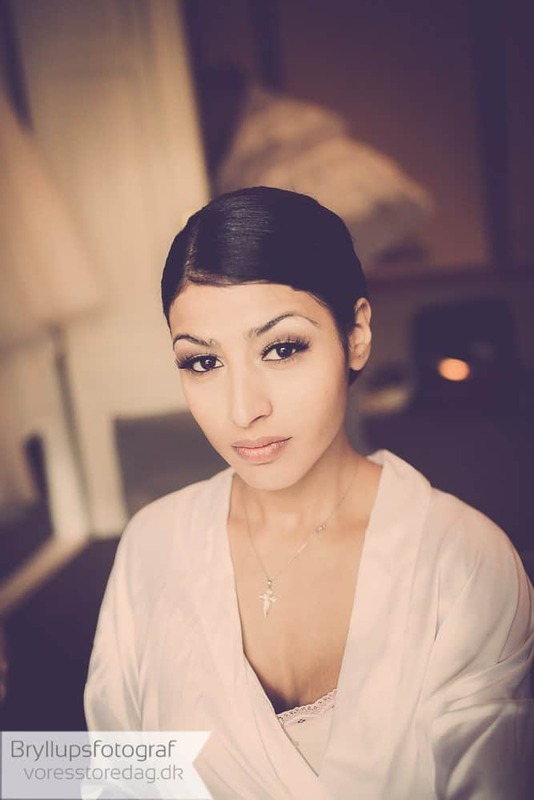 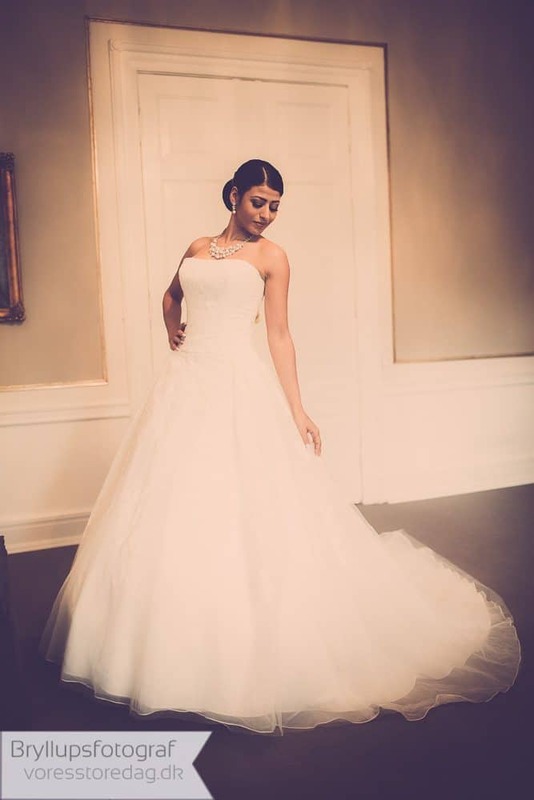 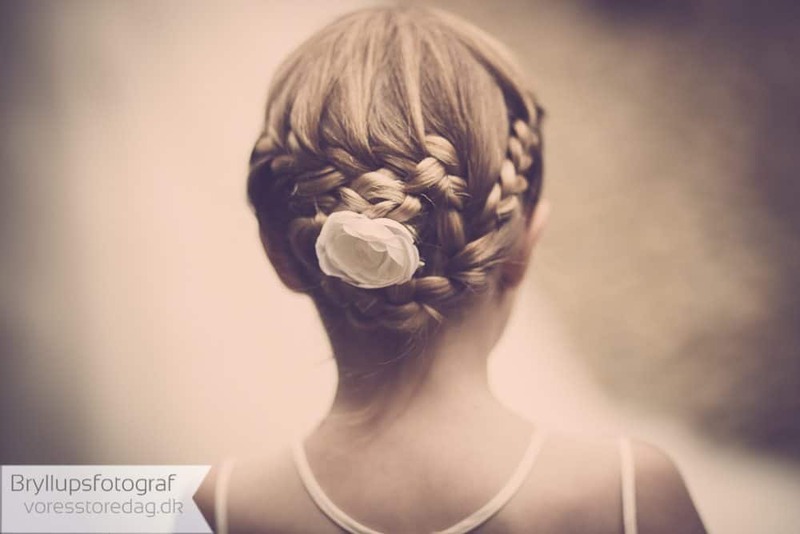 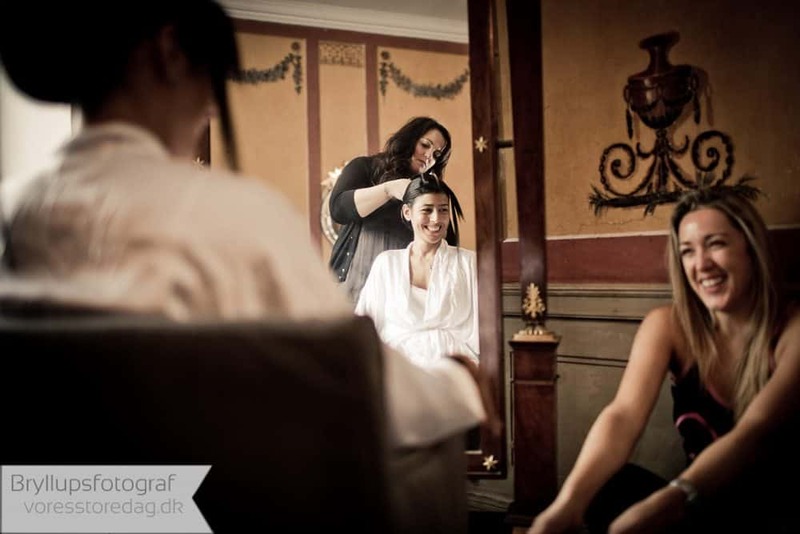 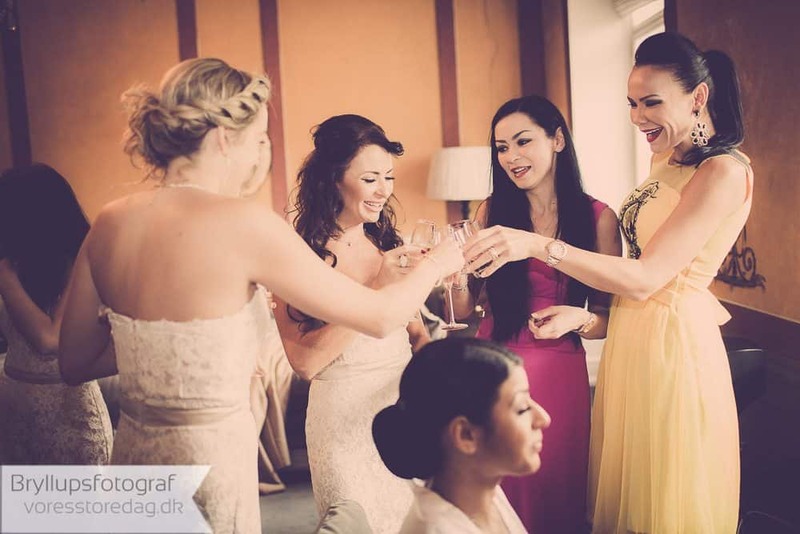 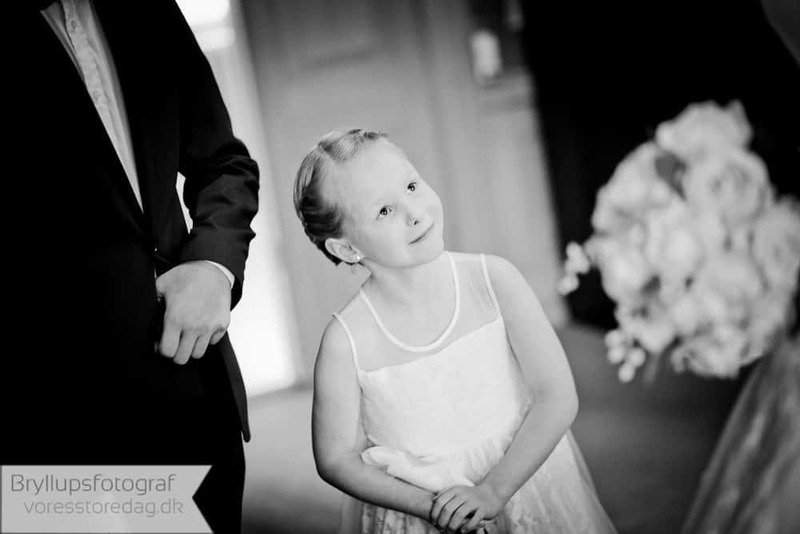 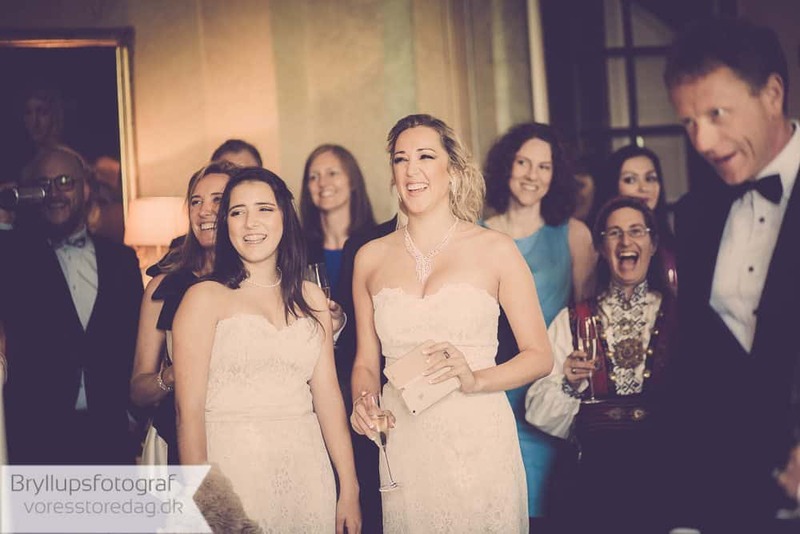 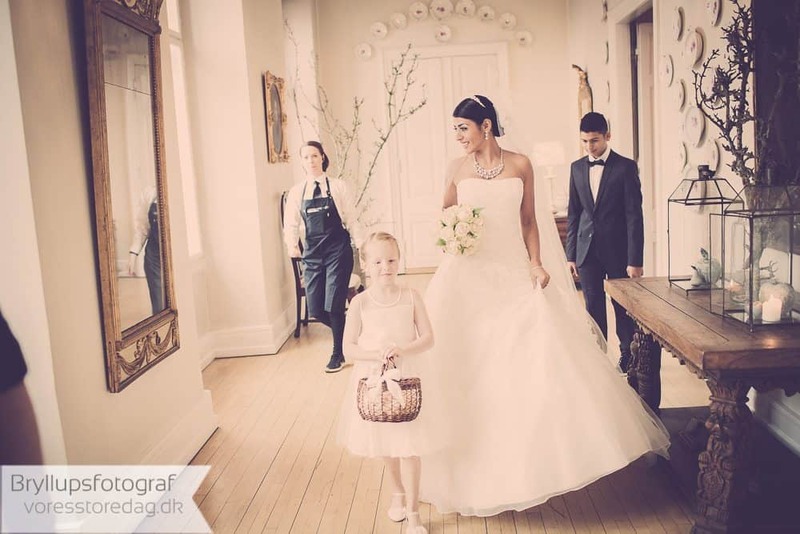 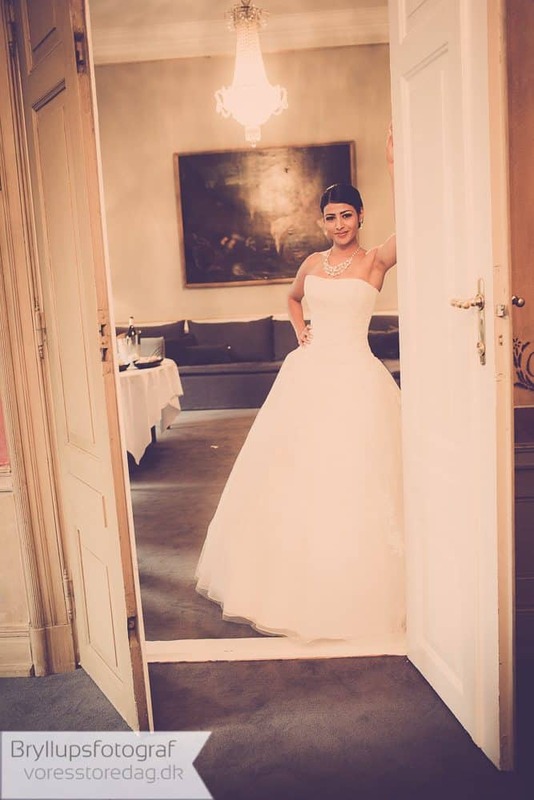 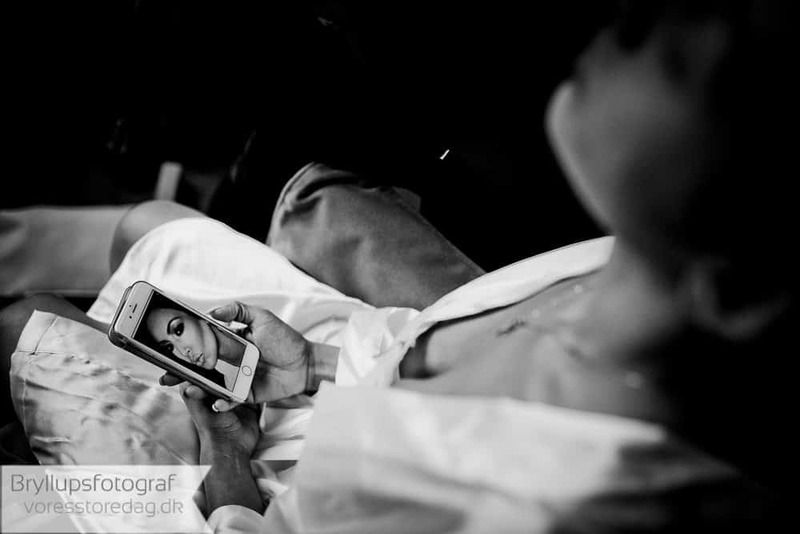 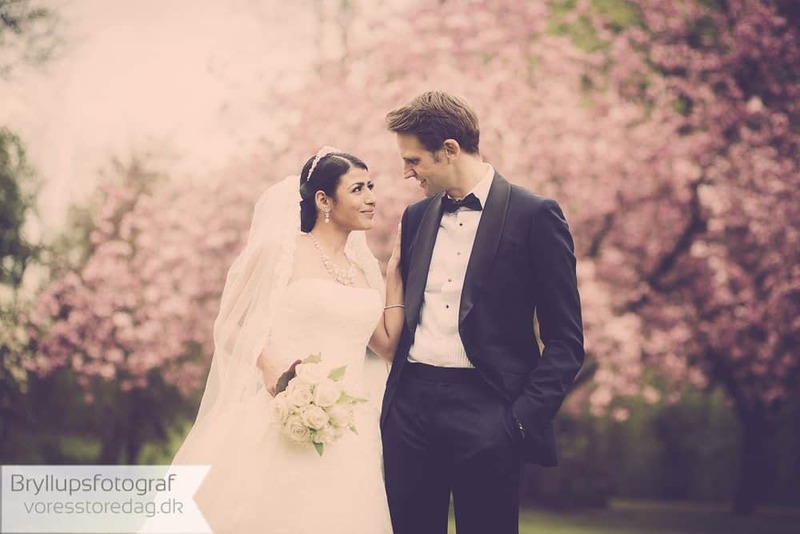 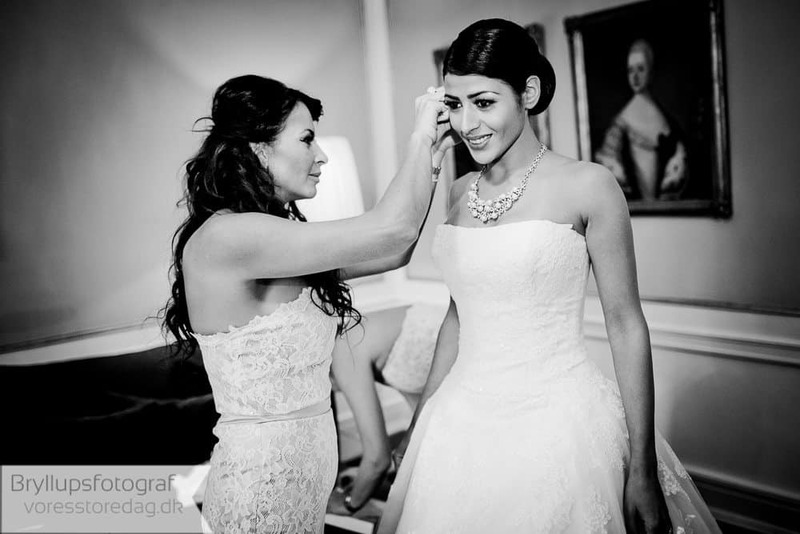 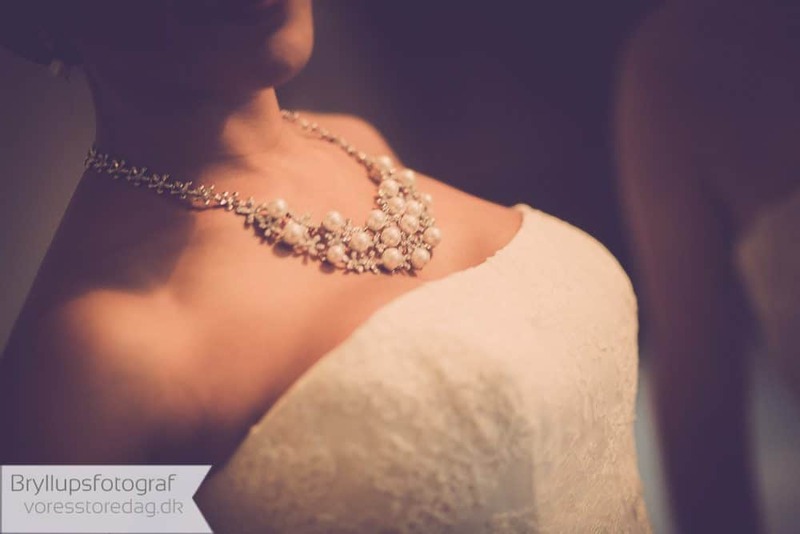 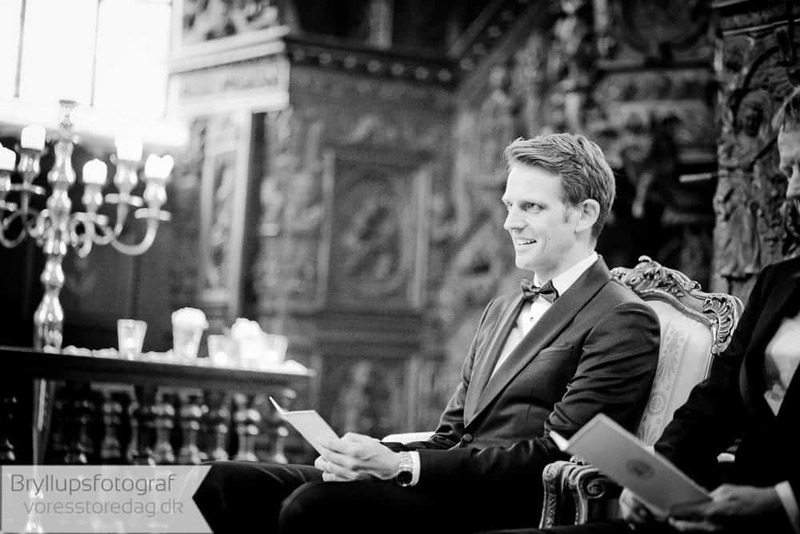 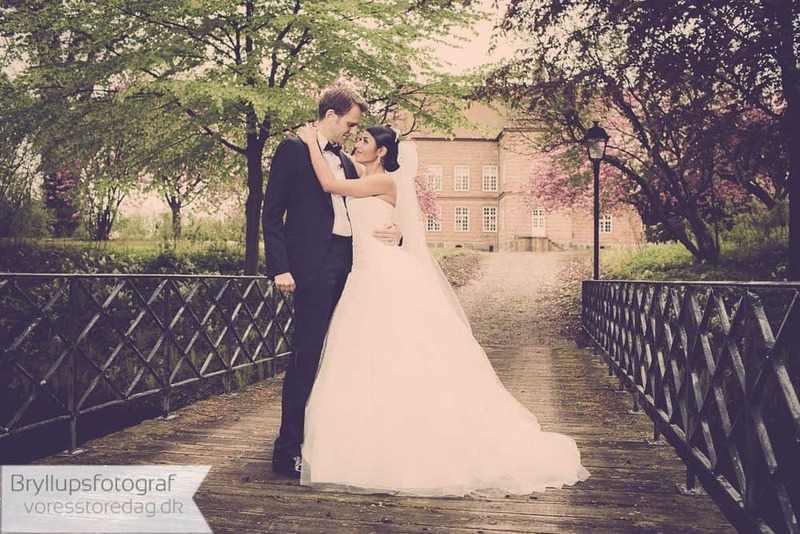 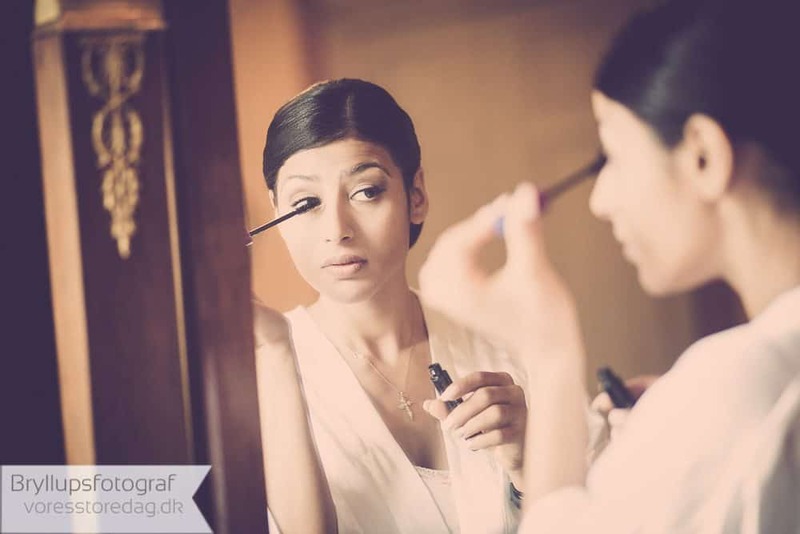 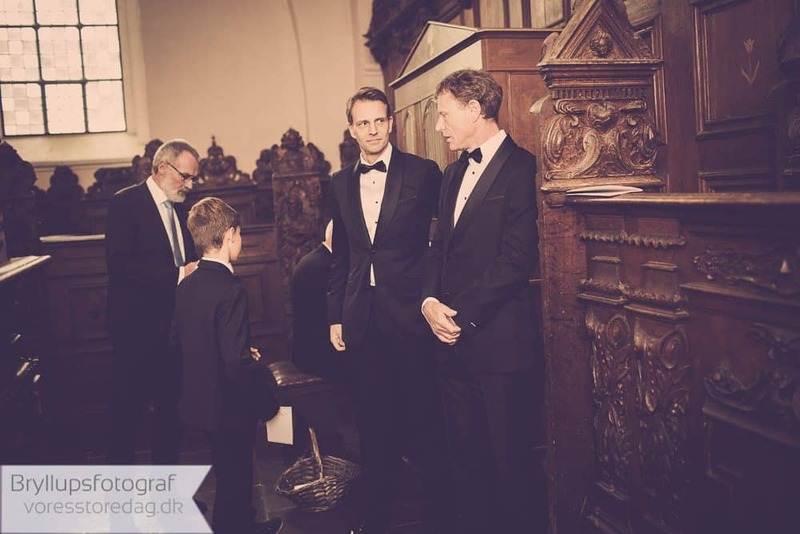 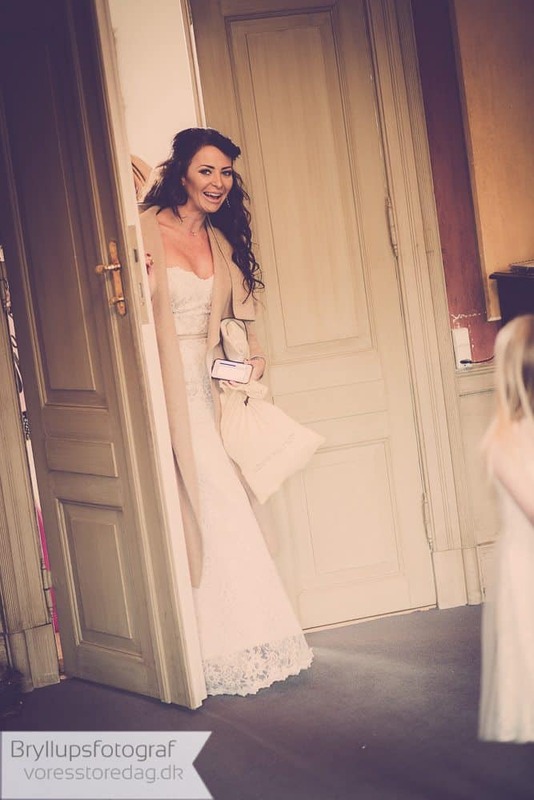 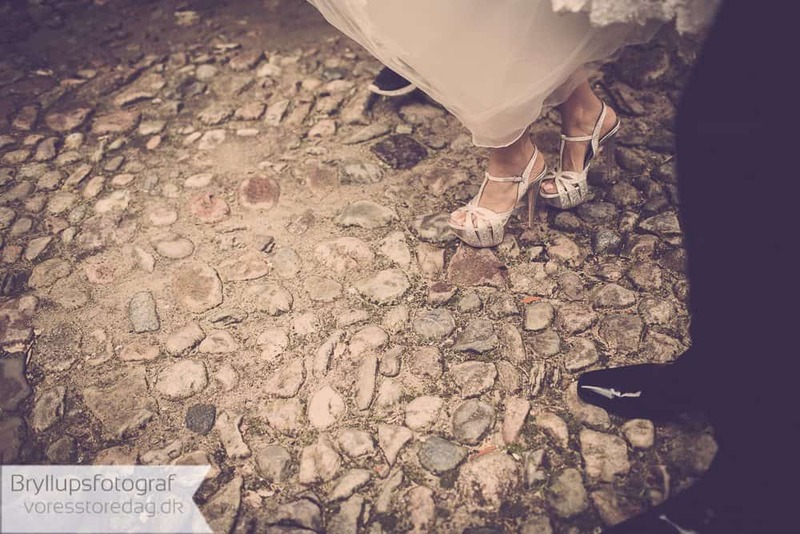 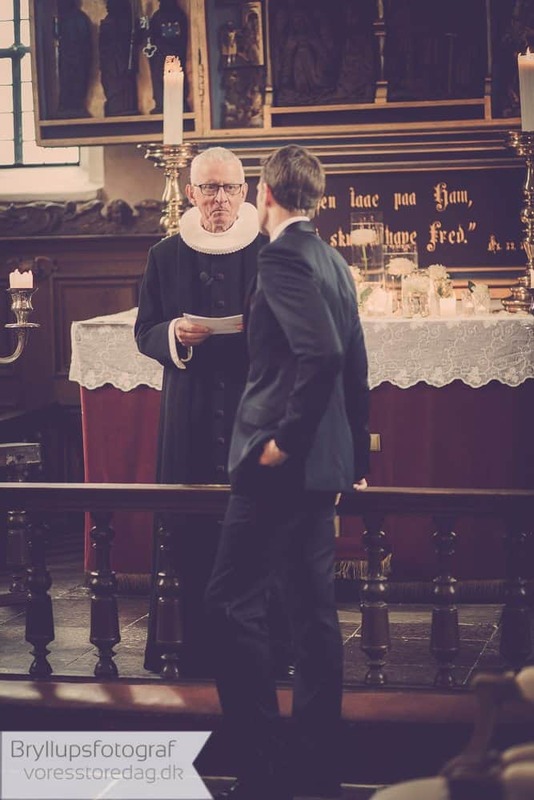 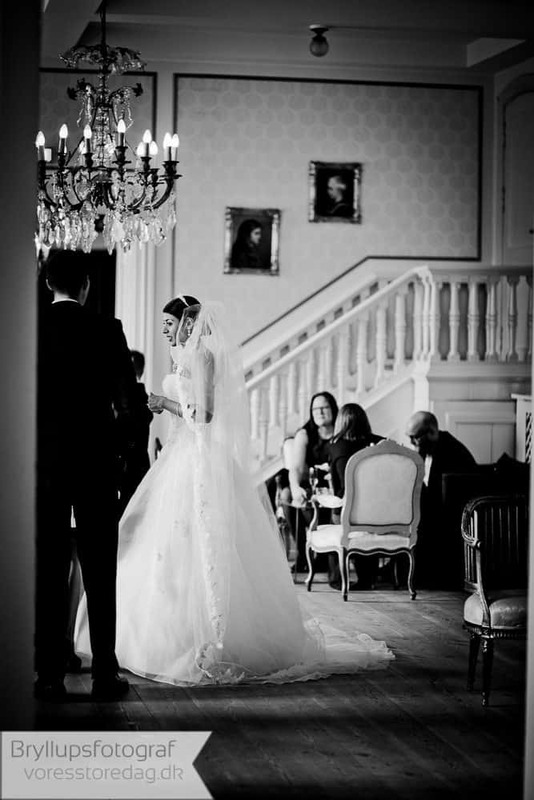 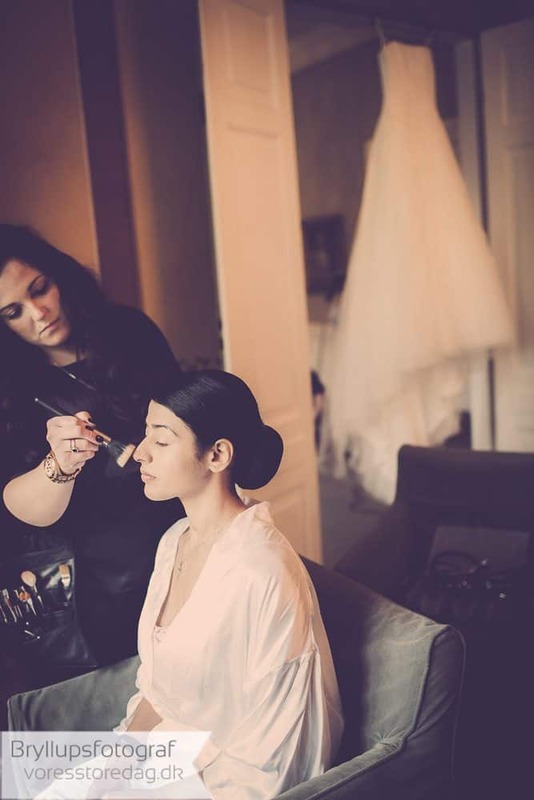 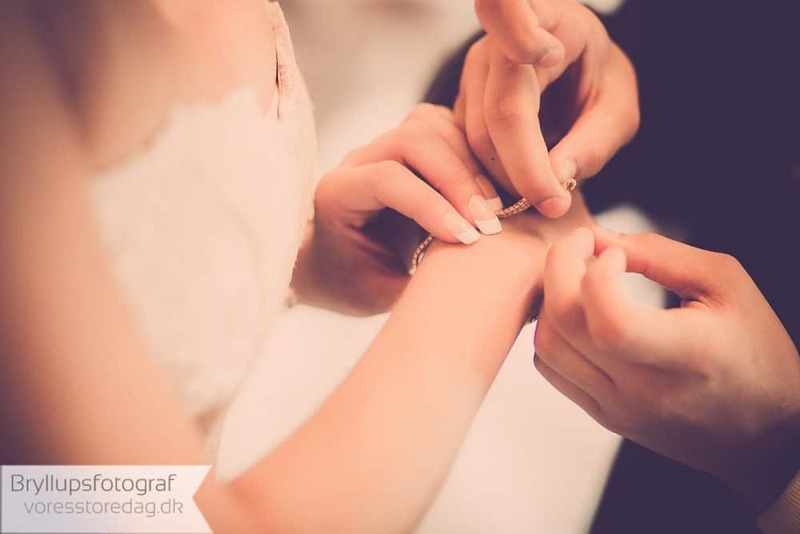 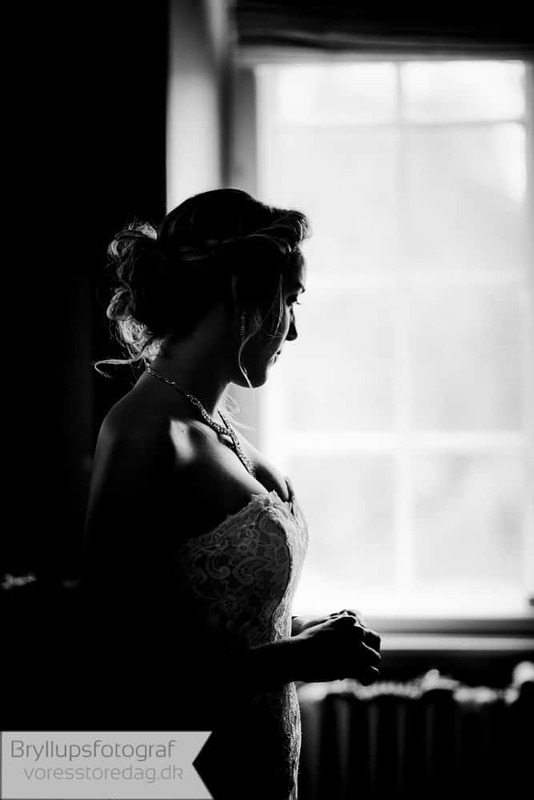 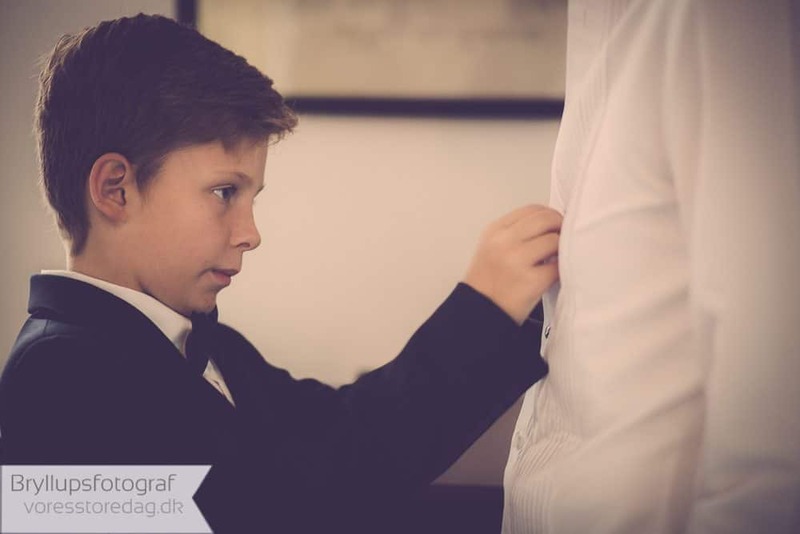 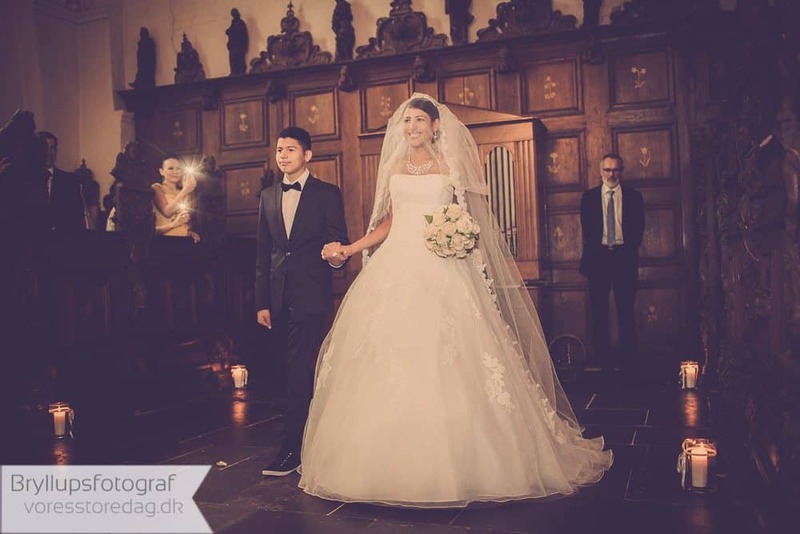 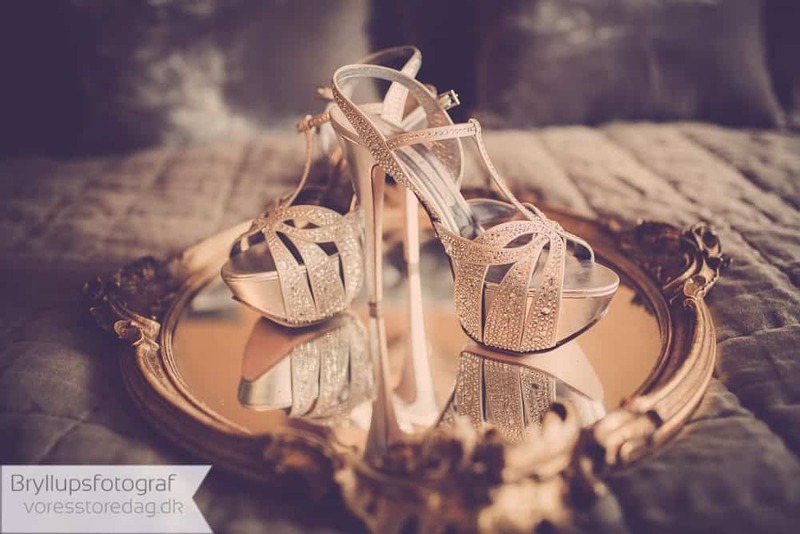 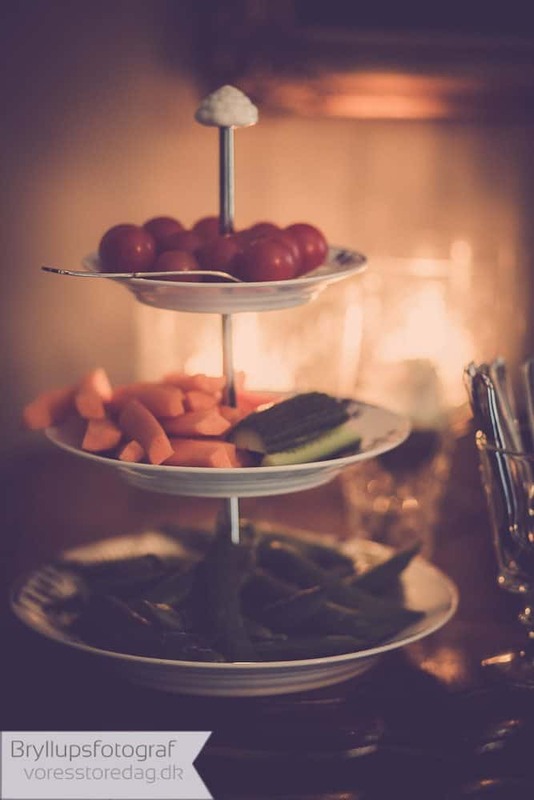 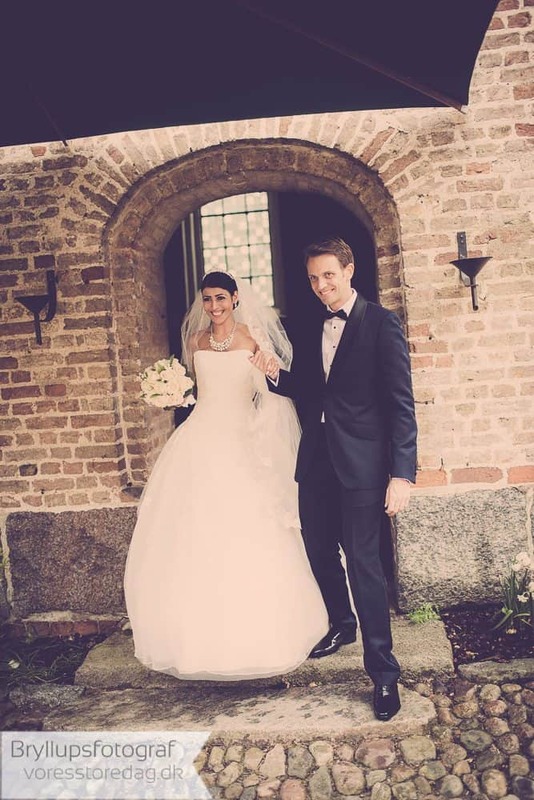 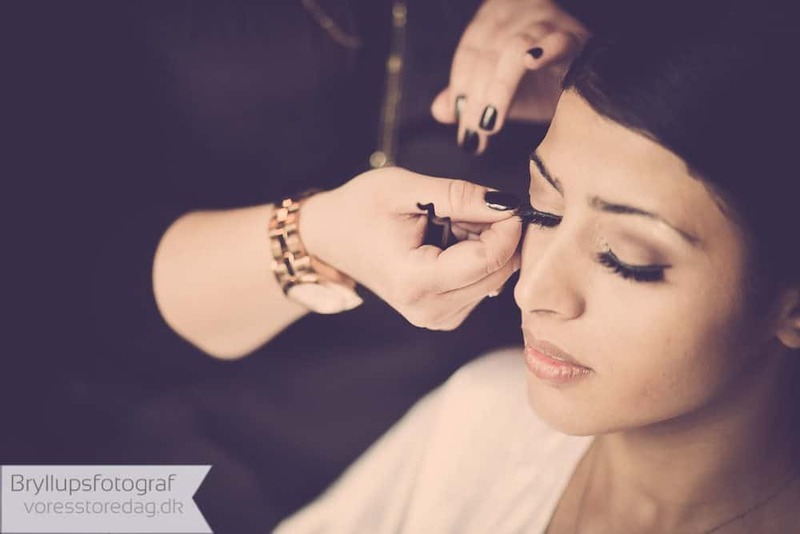 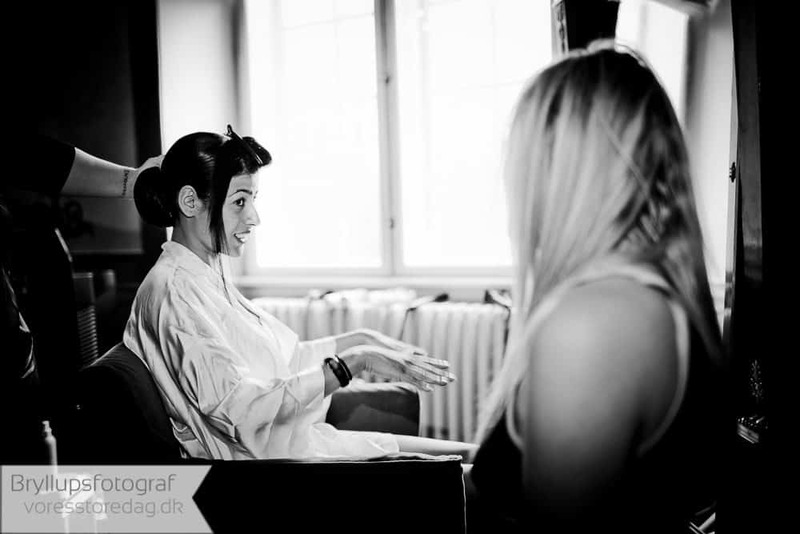 Professionel Danish award winning wedding photographer for your castle wedding Denmark. 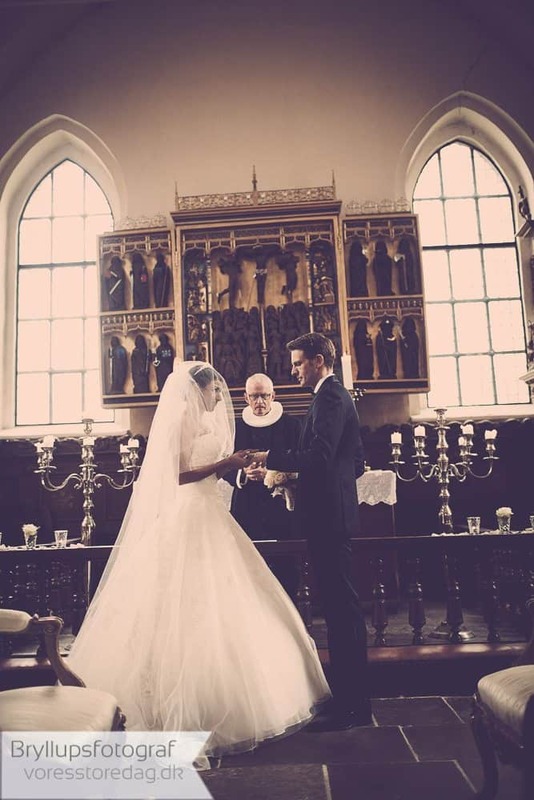 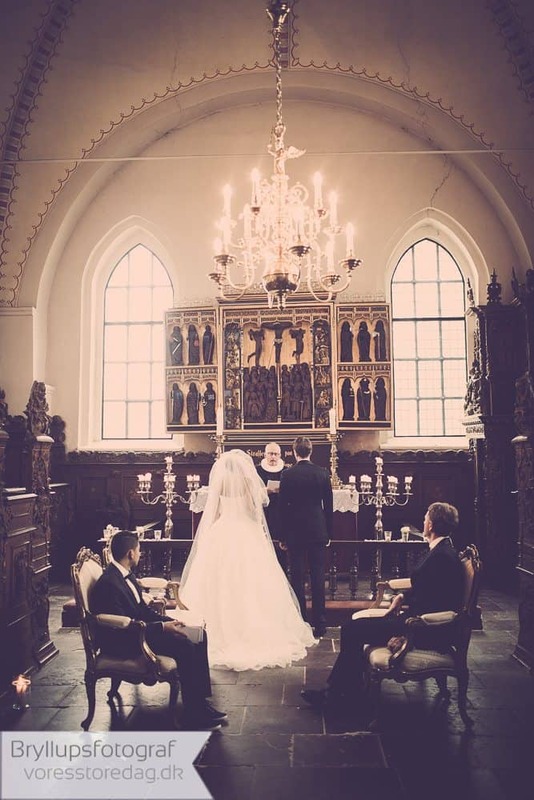 Denmark has a lot of beautiful romantic historic castles that you can get married in. 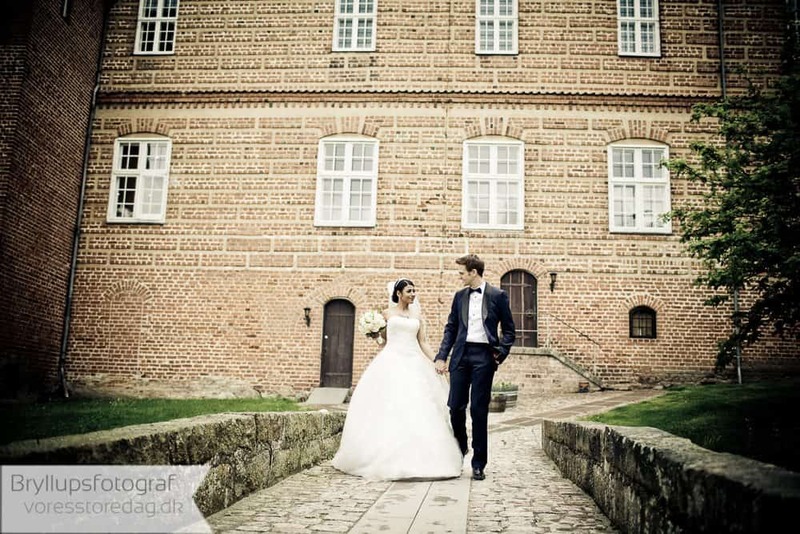 There are the beautiful Holckenhavn Castle, the romantic Dragsholm castle, there are also other alternative castles in Denmark. 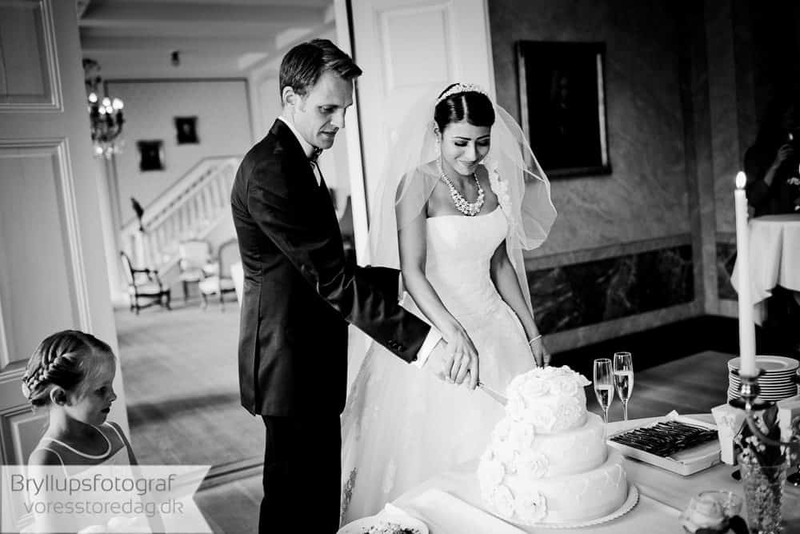 There is Hvedholm Castle, Dronninglund Castle, Kokkedal Castle, and many others. 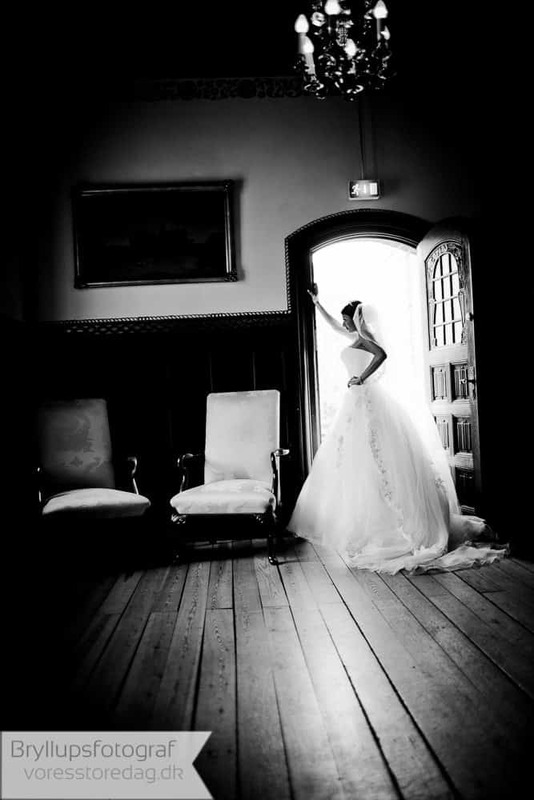 Getting married at castles in Denmark, requires a photographer that knows the castle well and knows where the light is most beautiful etc. 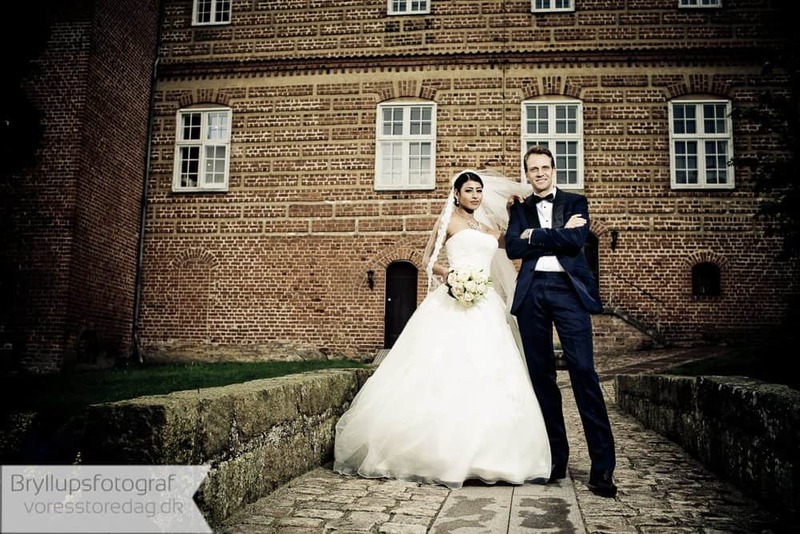 We have a very good relationship with most of the castles in Denmark, and know the team very well. 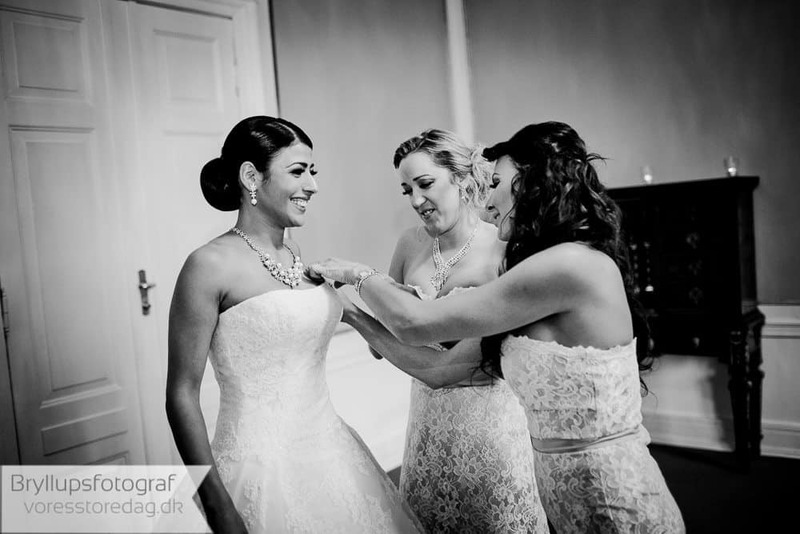 This makes the teamwork on the wedding day SO much easier, when the castle knows the wedding photographer and how the photographer works. 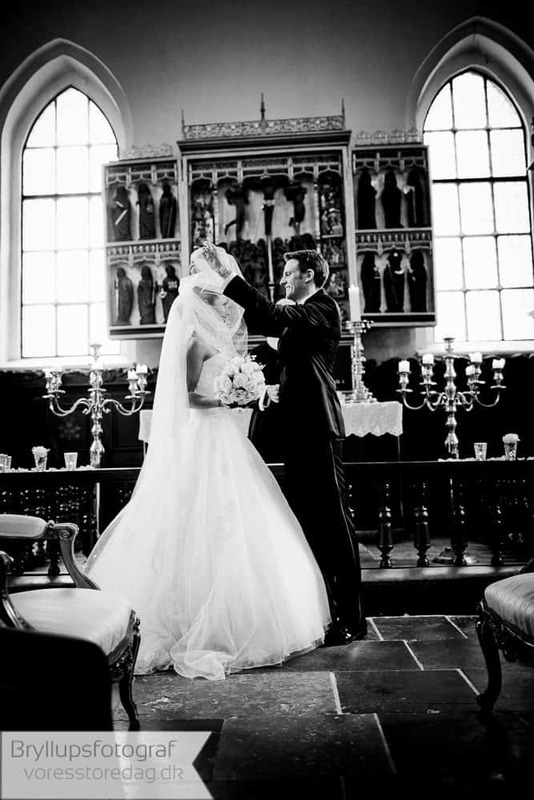 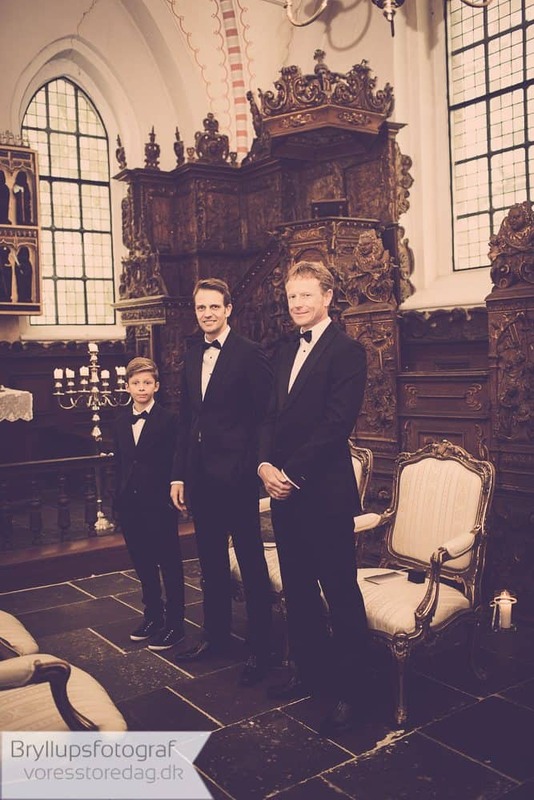 Wedding at castles in Denmark is a fairytale. 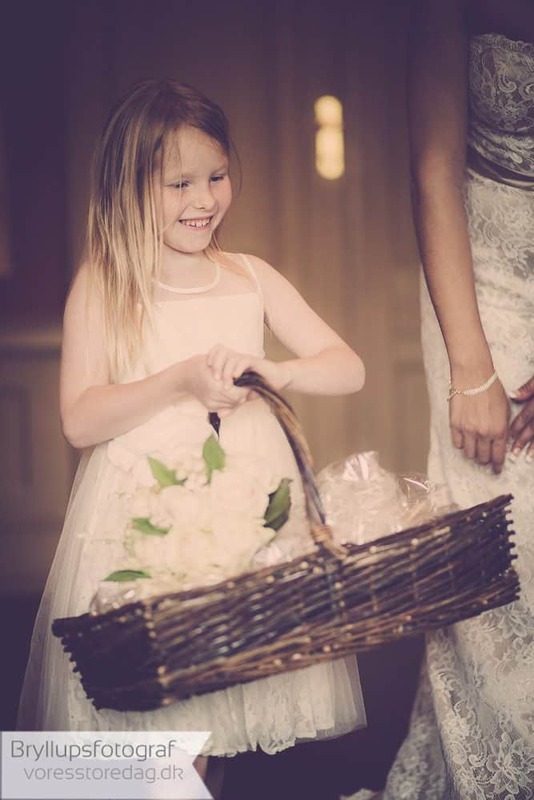 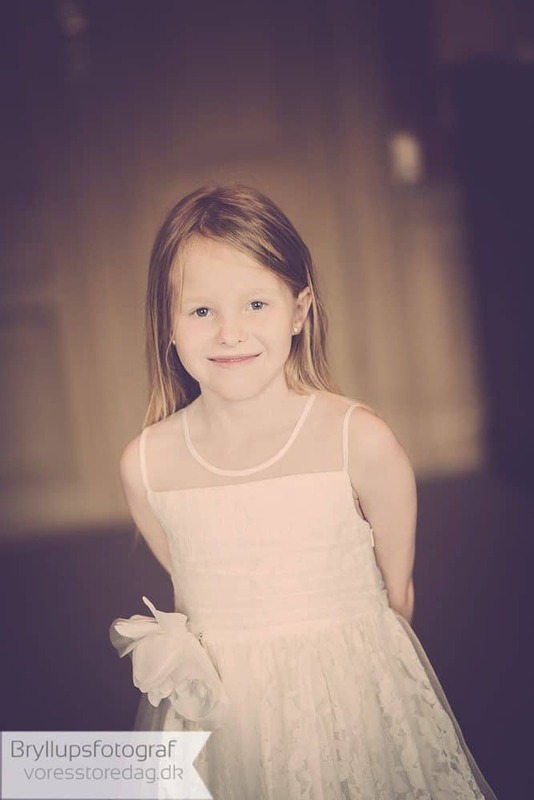 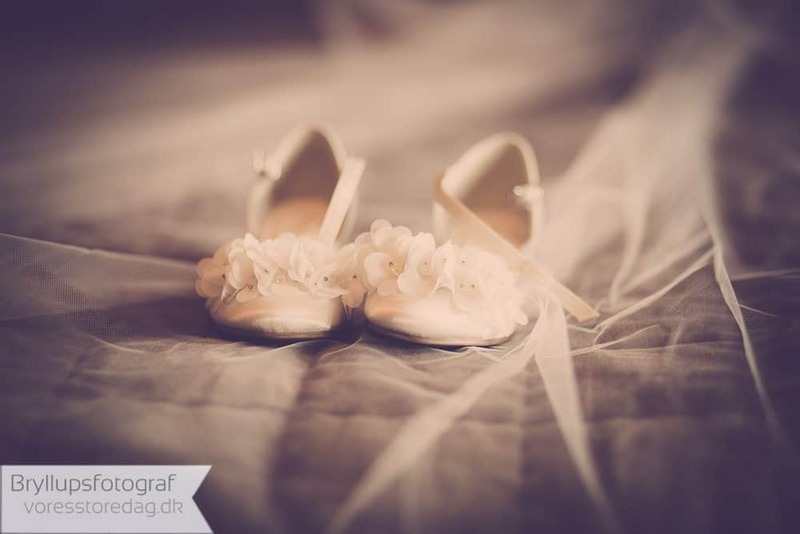 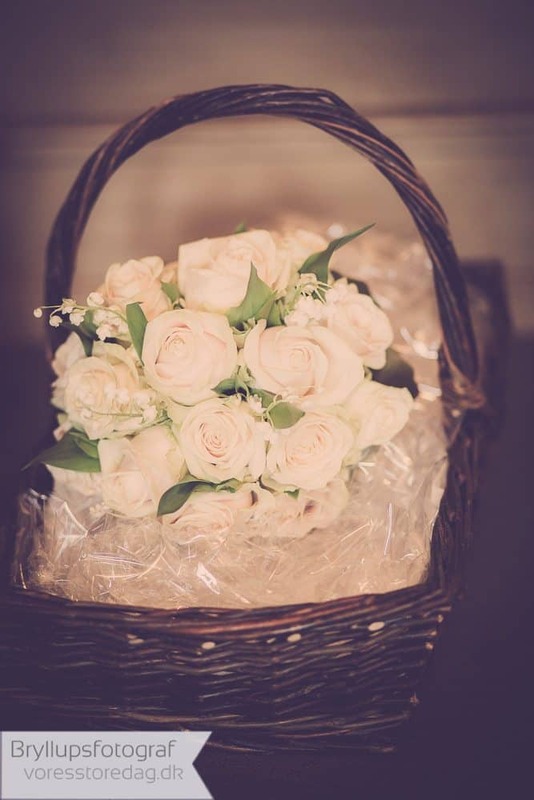 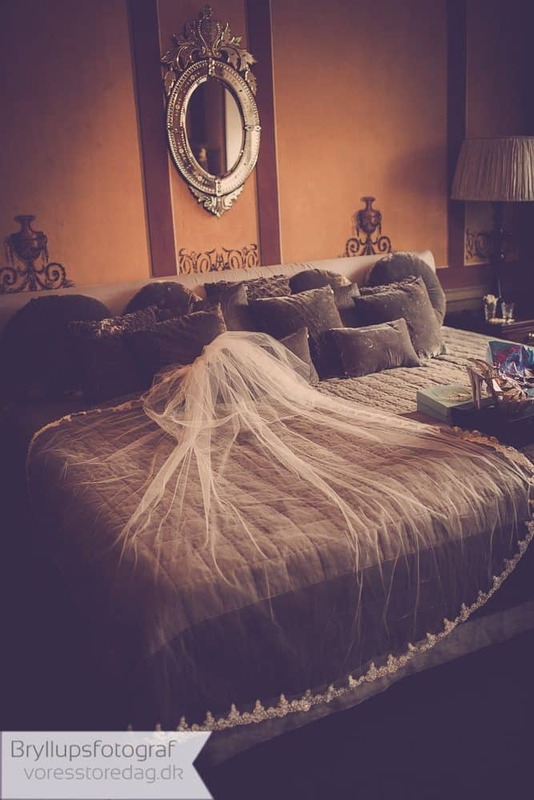 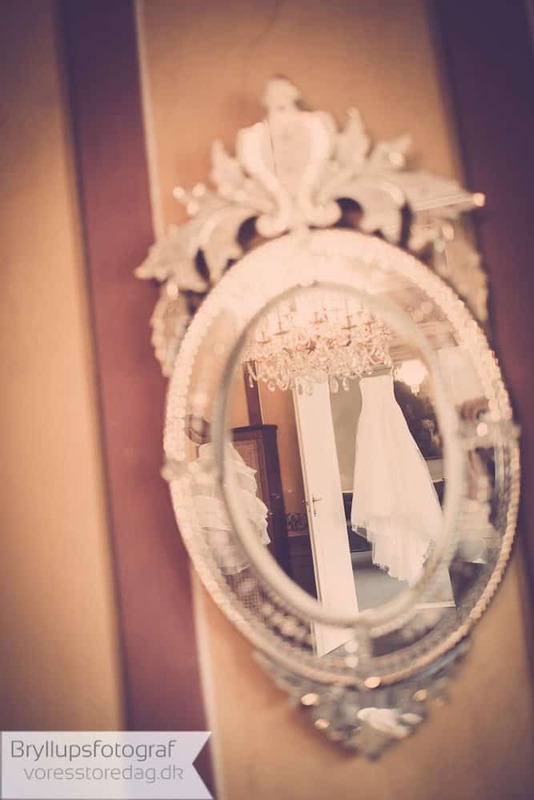 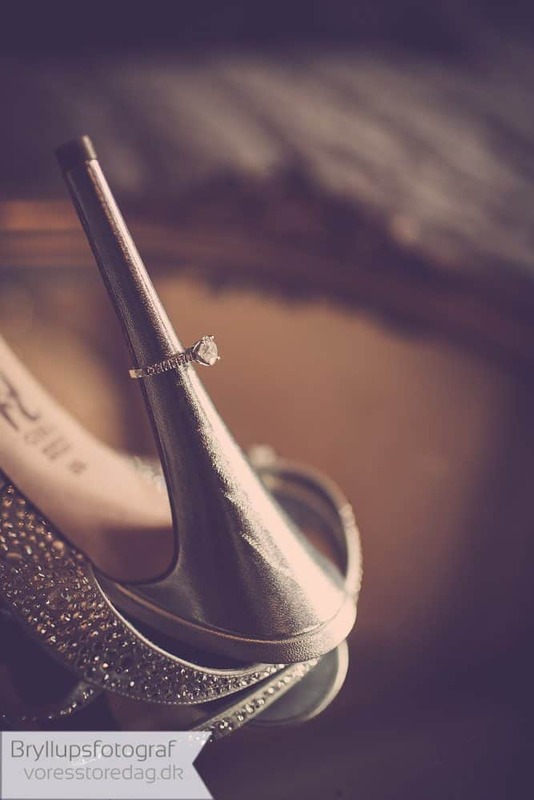 Like the story of cinderella, and so your wedding photos should be. 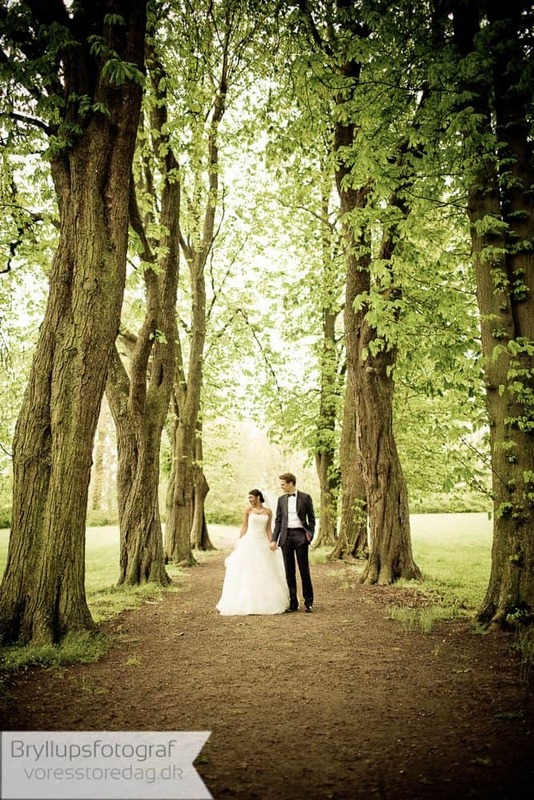 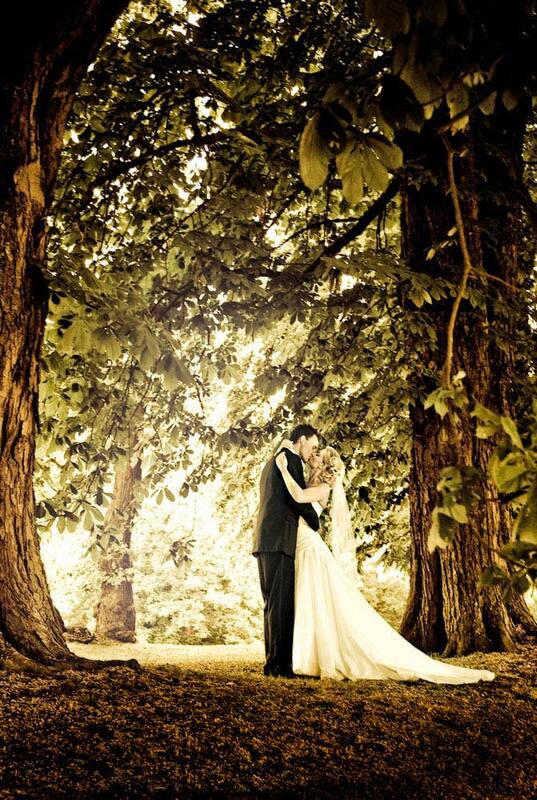 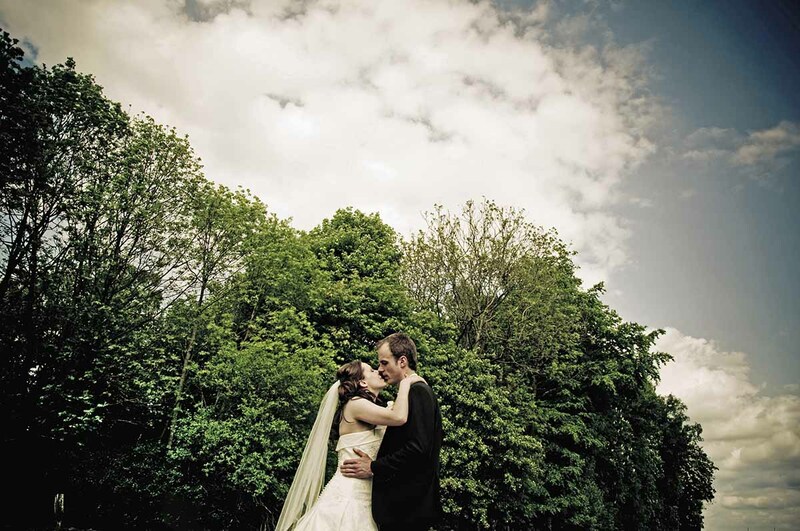 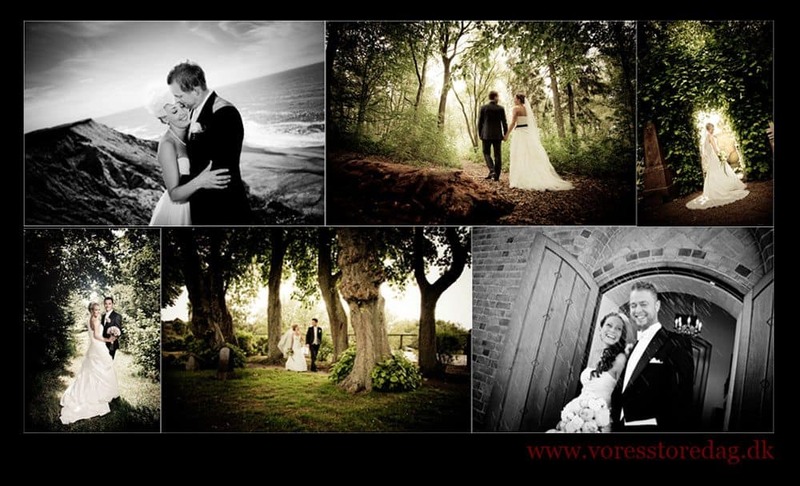 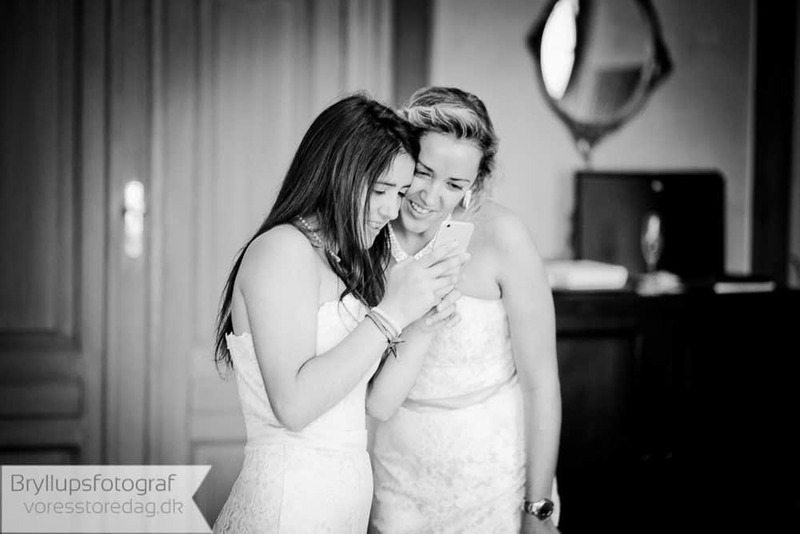 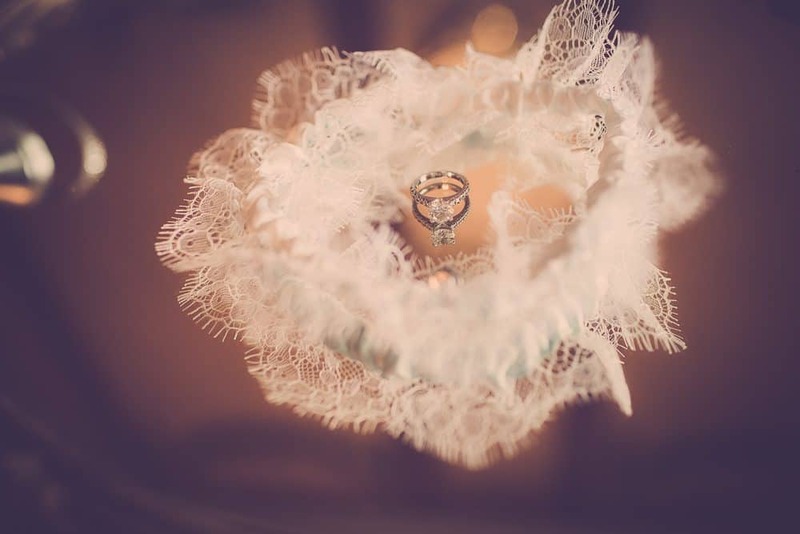 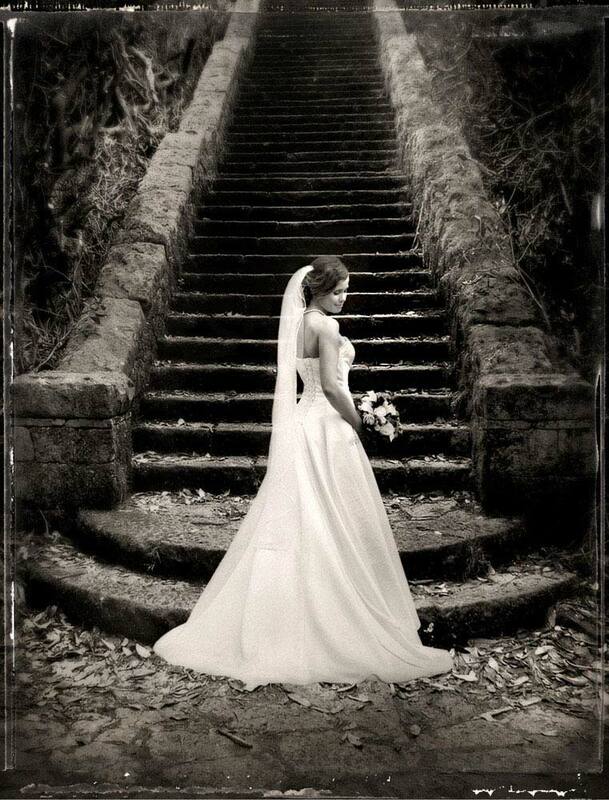 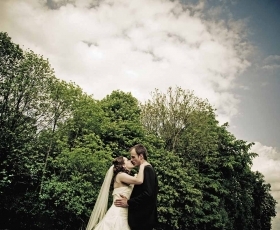 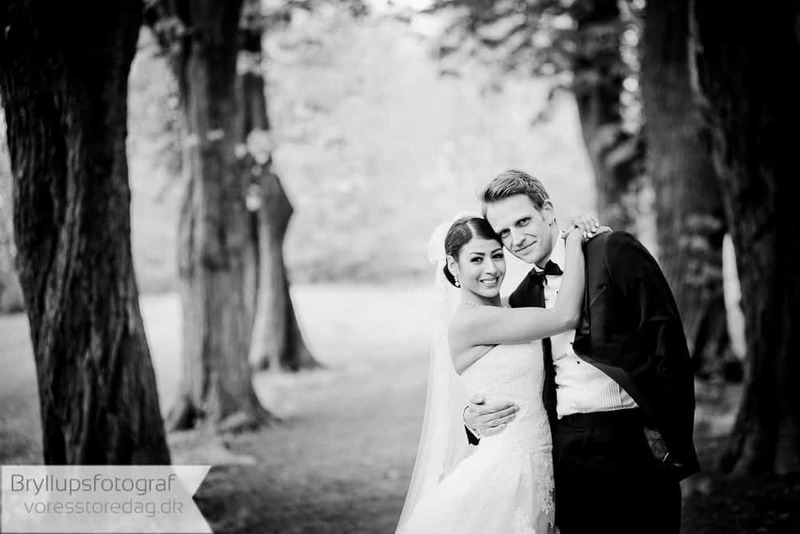 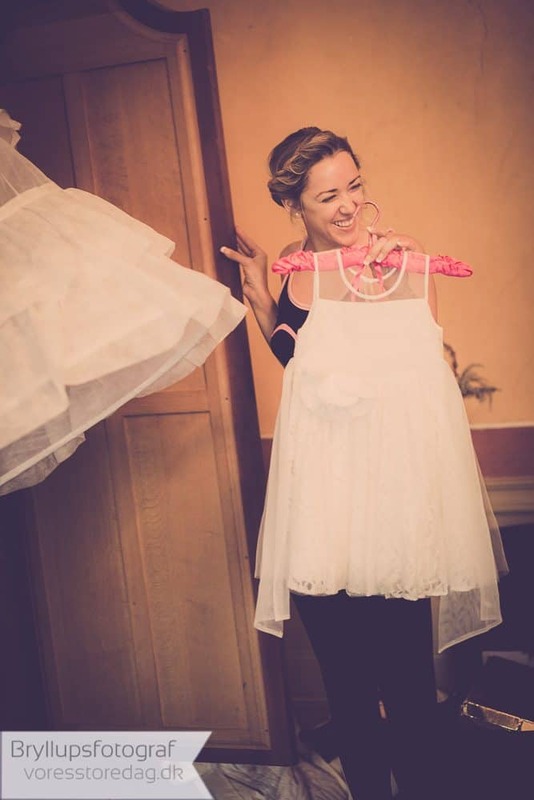 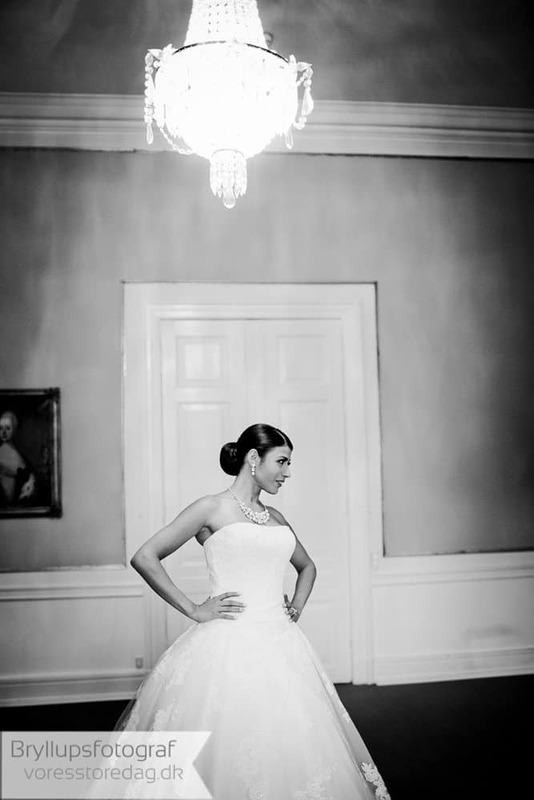 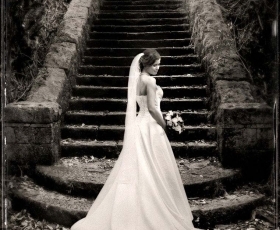 Vores store dag is a creative and professionel photographer, that makes a very creative dreamlike wedding photo style. 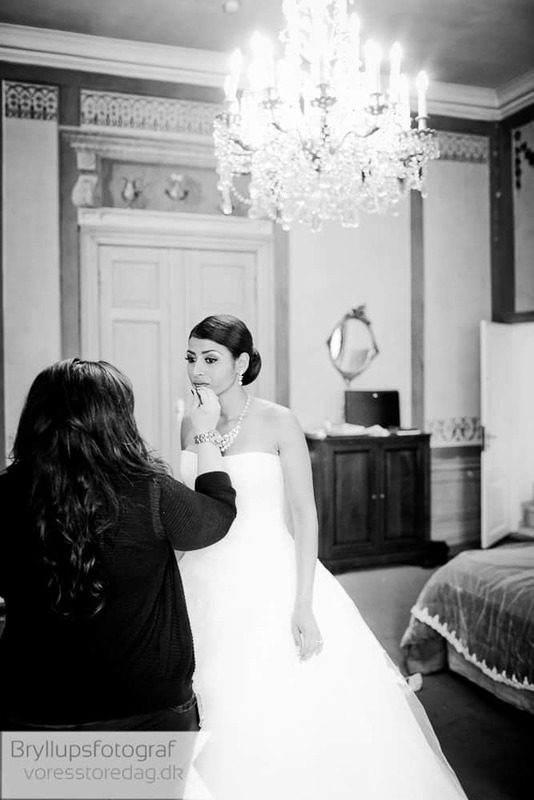 Our pictures is inspired by the big hollywood movie productions. 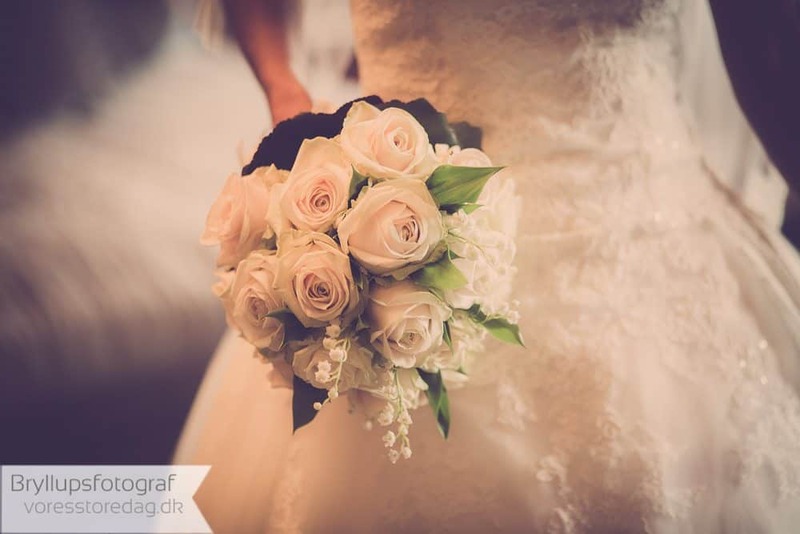 We have a very talented and good image processor so the photos gets this extra beautiful touch. 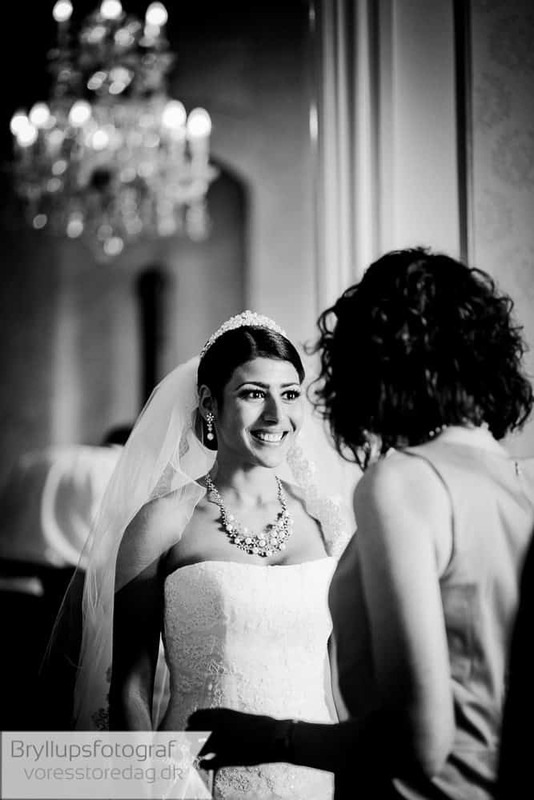 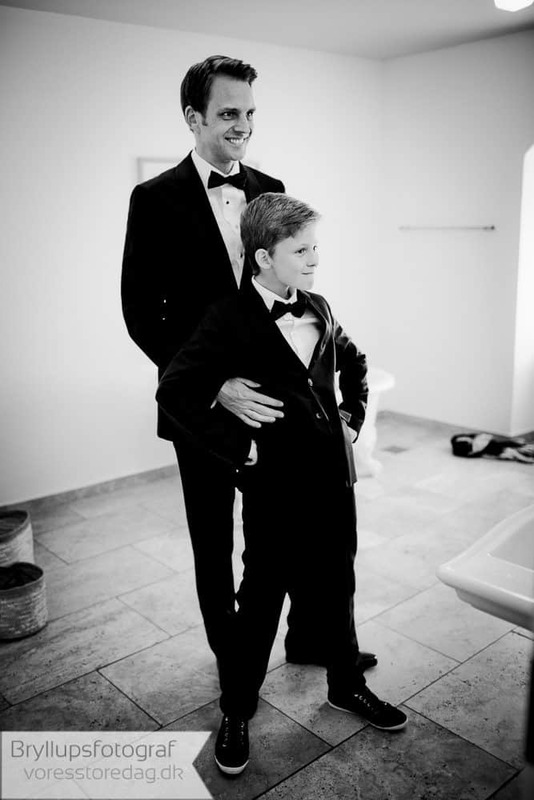 Wedding pictures by a professional photographer are great memories from the day where you seal your love to each other. 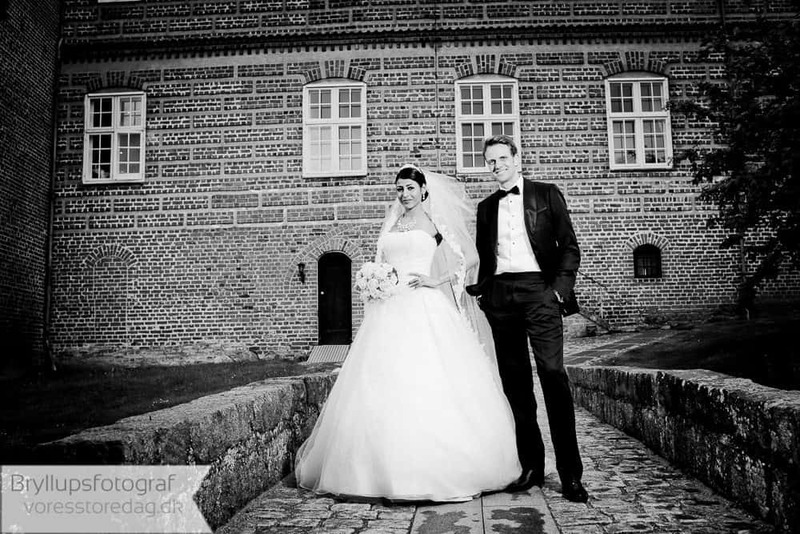 Please do not hesitate to contact us, and we will gladly be your wedding photographer and tell you about the options for making great pictures of your wedding at castles all over Denmark. 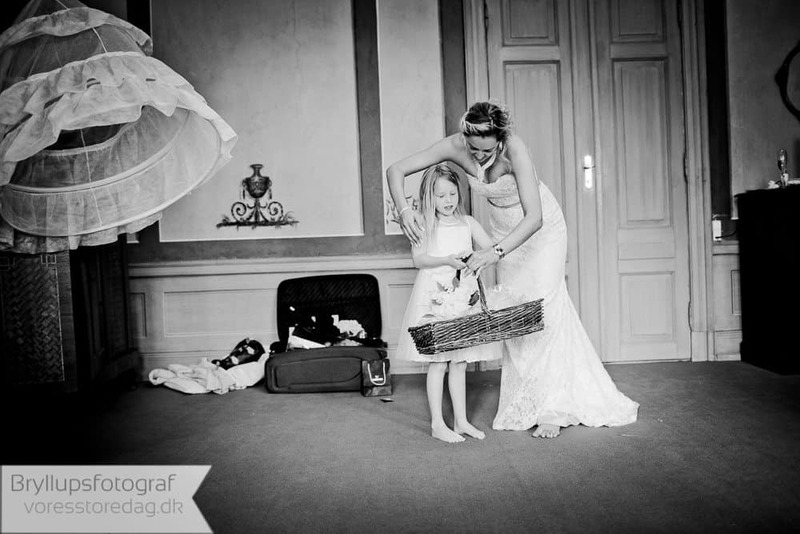 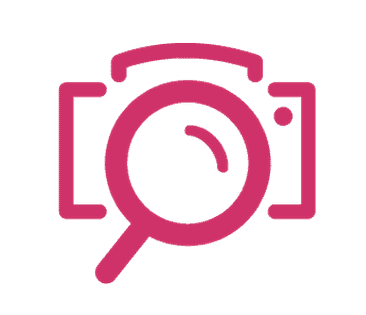 Denmark is a small country, so we cover all of it as wedding photographers. 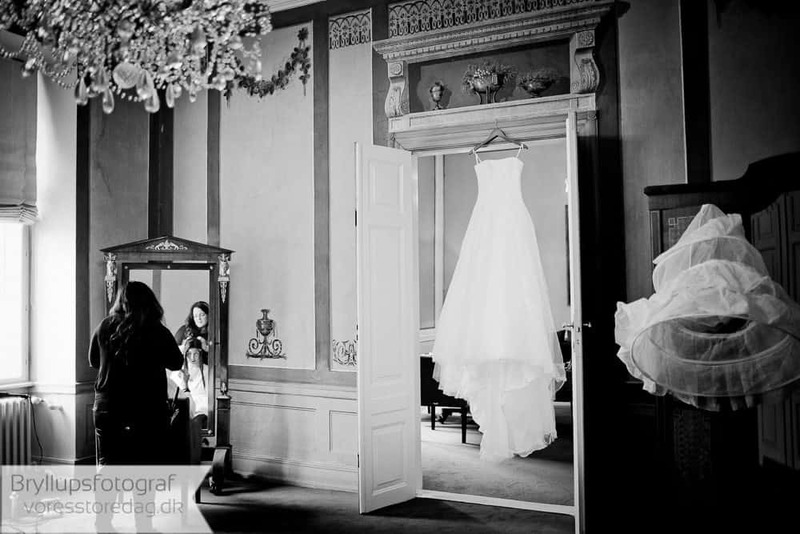 (Castle wedding Denmark). 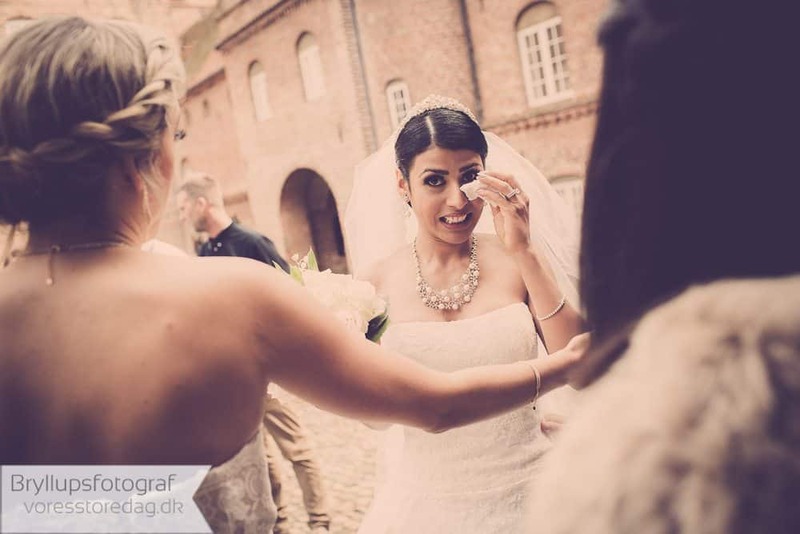 Read more about wedding photography in Denmark here (prices etc in English). 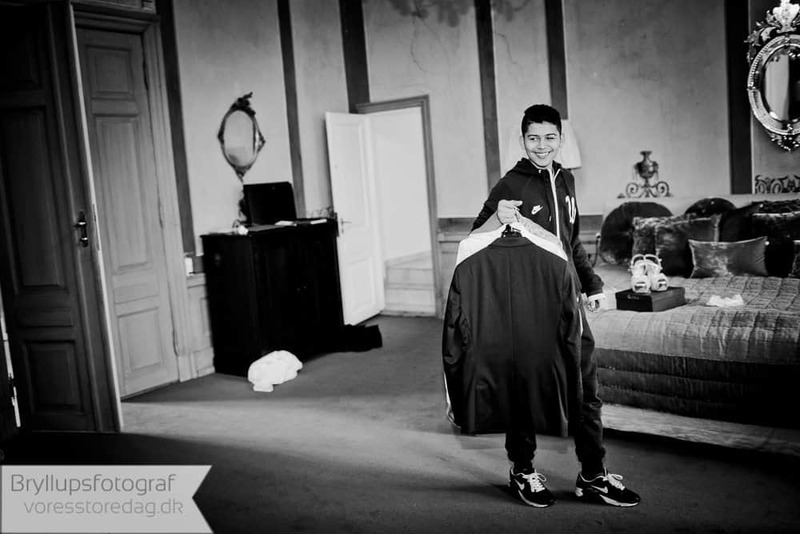 The pictures underneath is taken at the amazing castle Holckenhavn castle in Nyborg Denmark. 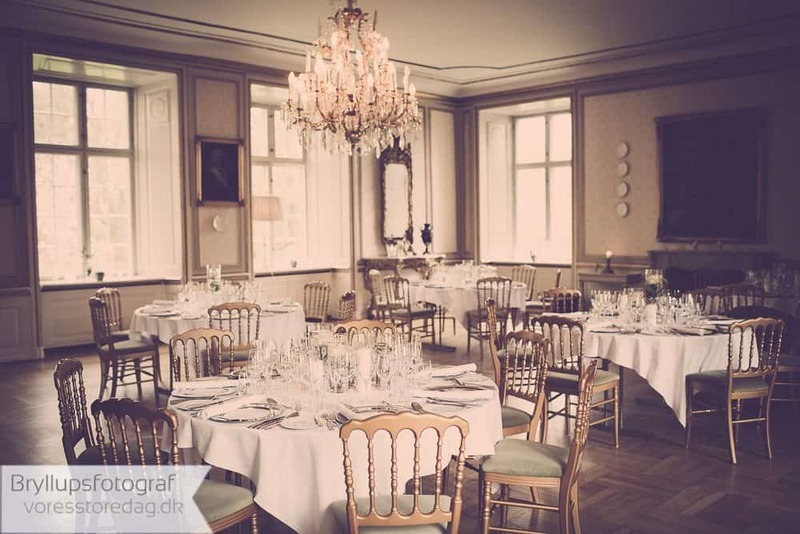 Holckenhavn has everything for a great castle wedding location. 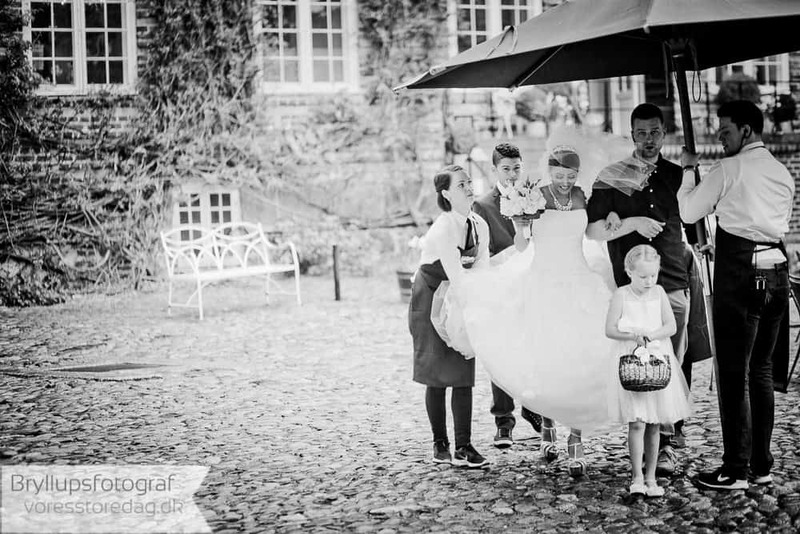 Holckenhavn has all great history, a great staff and a beautiful location on Fyn in the middle of Denmark, with water on all sides at the island of Fyn. 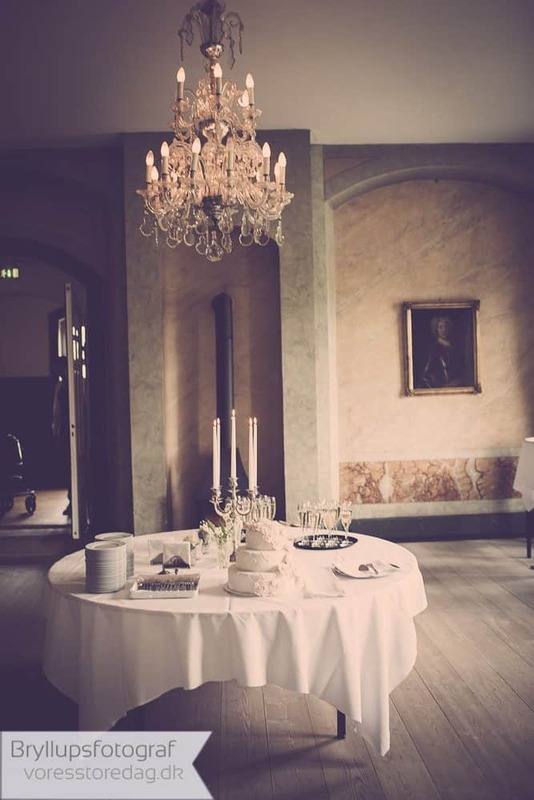 We recommend the great castle Holckenhavn castle.